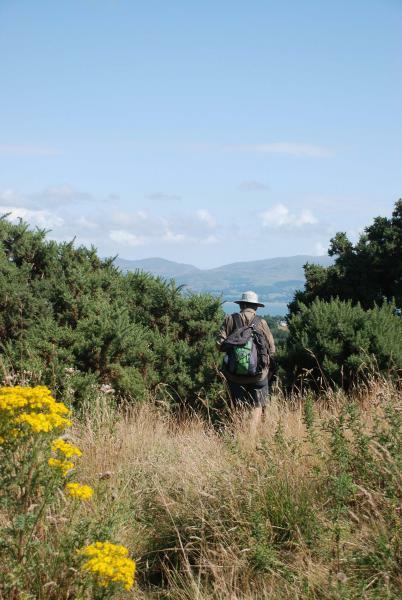 Martin Banfield has written areport of this Plodder's event - it can be found here. A slideshow of photos is available here. 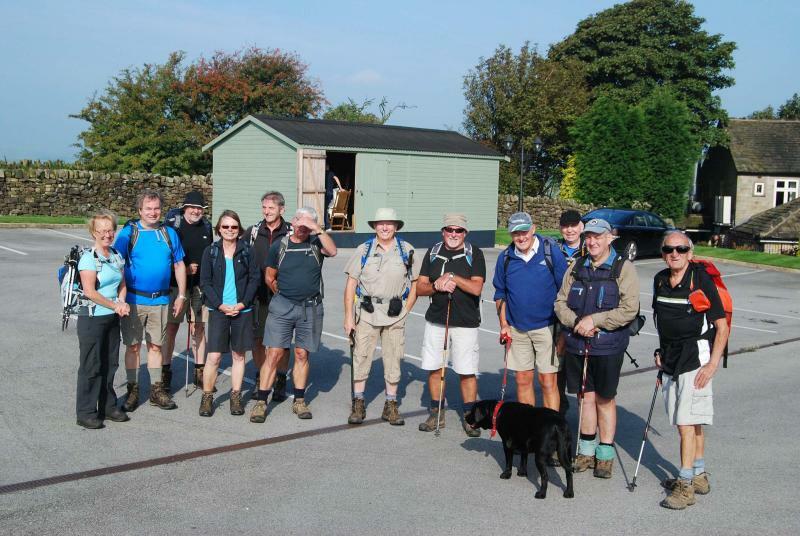 Eleven LDWA members met at Hollingworth Lake Information centre for an eleven mile stroll. 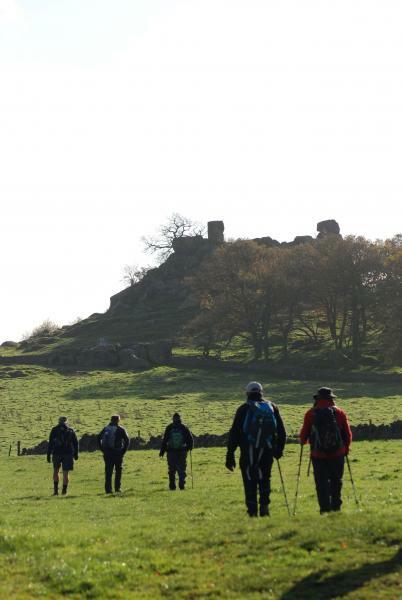 After a late start due to a mix up of where the car park was, we all set off, initially on the Rochdale Way route past Brierley farm and Whittaker. It was then up above Whittaker Golf course and past the hidden tarn where we stopped for a drink : nobody took a dip in the tarn even though it was a bright sunny Winter's Day. 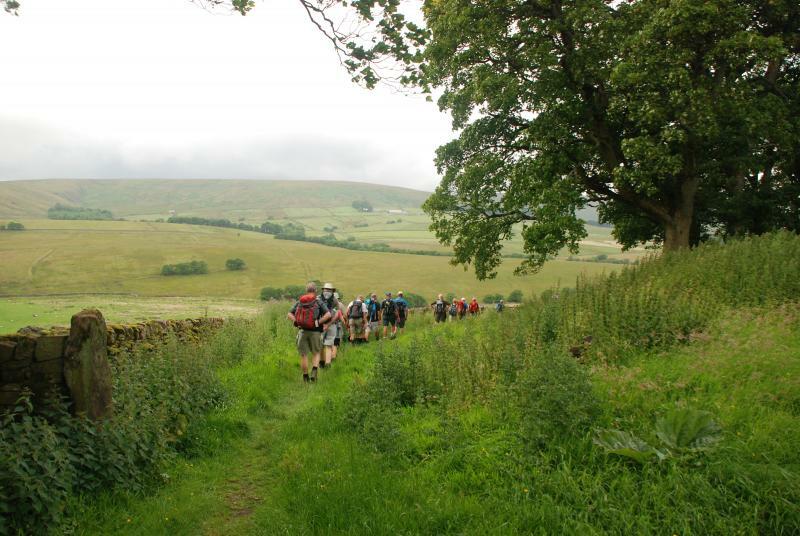 The route continued up towards Blackstone Edge before reaching the reservoir feeder channel which was followed over the Roman Road to The White House. 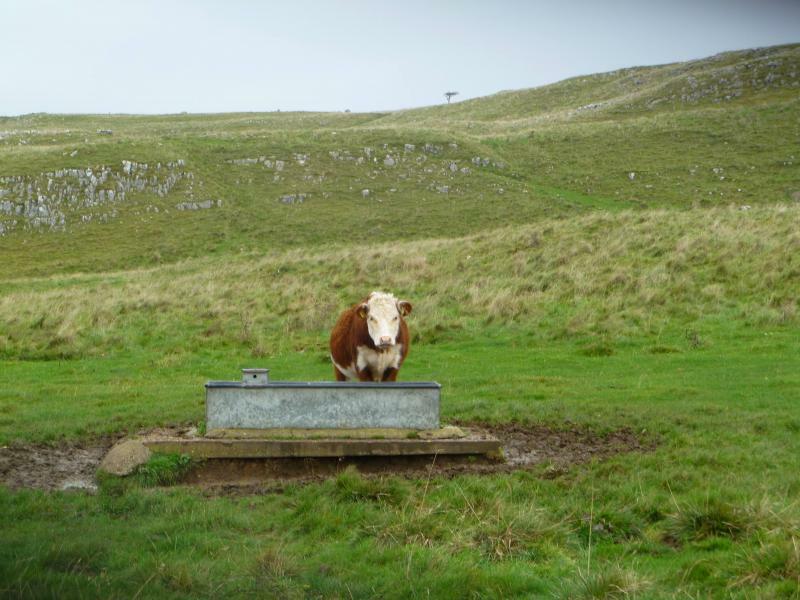 It was left above the pub and along The Pennine Way passing Cows's Head before heading down from Warland Reservoir towards Rochdale Canal. About halfway down we where thrown by a newly re-routed path but we soon retraced our steps and proceeded down to the canal where we stopped for our lunch. 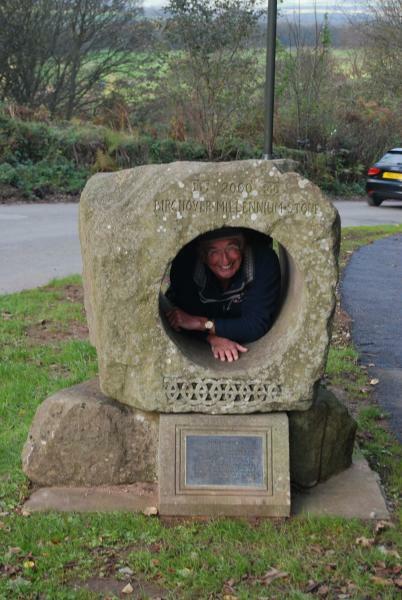 It was noted that we had taken a few steps into Yorkshire to eat lunch which was marked by a boundary stone situated at the side of the canal. 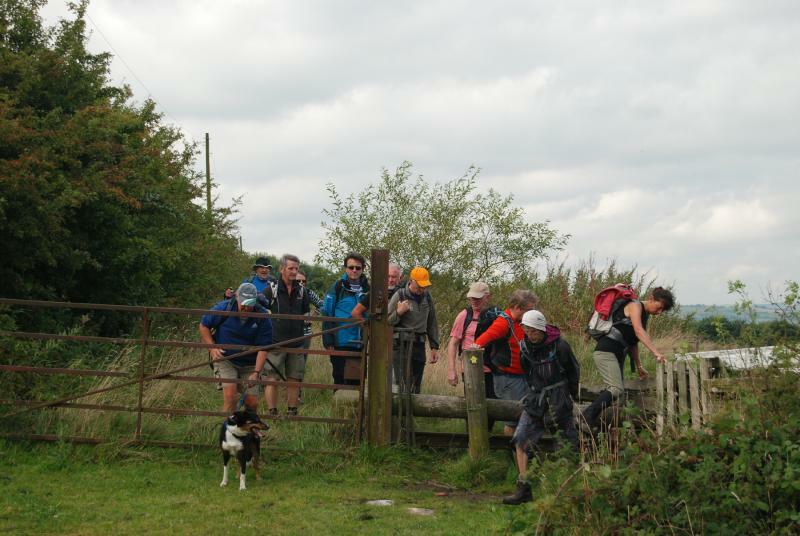 However, the more observant of the party noticed, about 500 yards further on, that the Yorkshire/Greater Manchester boundary was marked on the road running parallel with the canal! 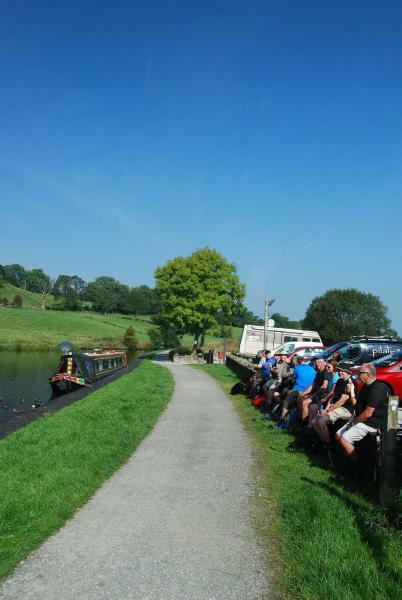 The original route was to go up from the canal at the Summit Lock and up past Summit Reservoir but, due to the late start, we decided to continued along the canal to the lock at Littleborough which is exactly halfway between Sowerby Bridge and Manchester along the 28 mile canal. 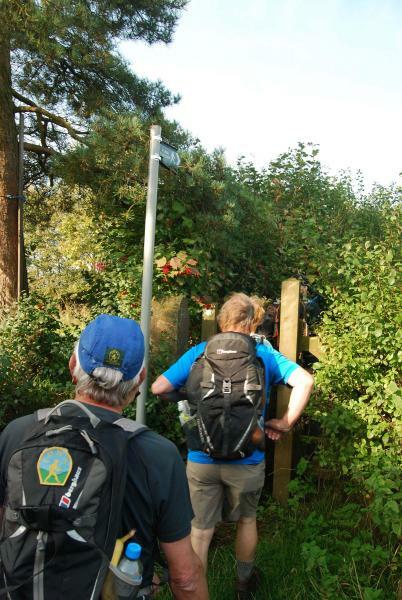 We left the canal at this point and headed towards Ealees Wood and the Information Centre arriving around 3.30pm. Advertised miles 10, Actual miles 12.5. 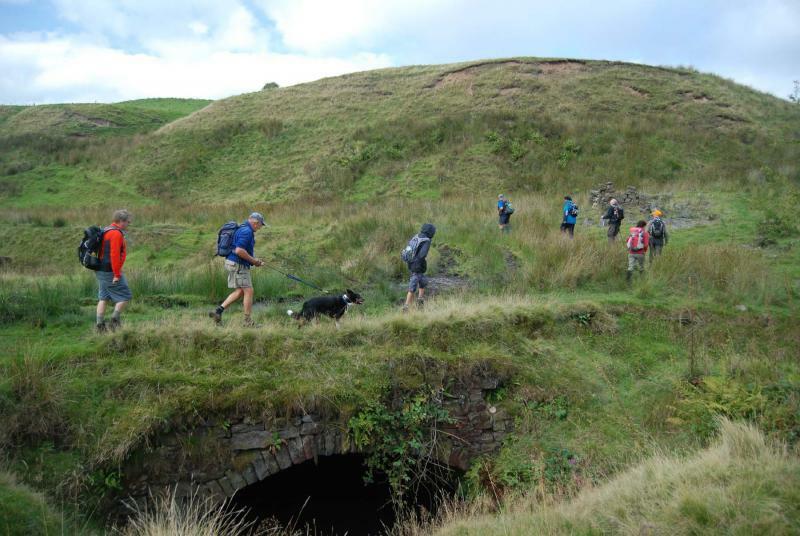 14 walkers and 1 dog. I originally planned and advertised this as an urban walk thinking that it was not far to travel and would avoid too much mud. 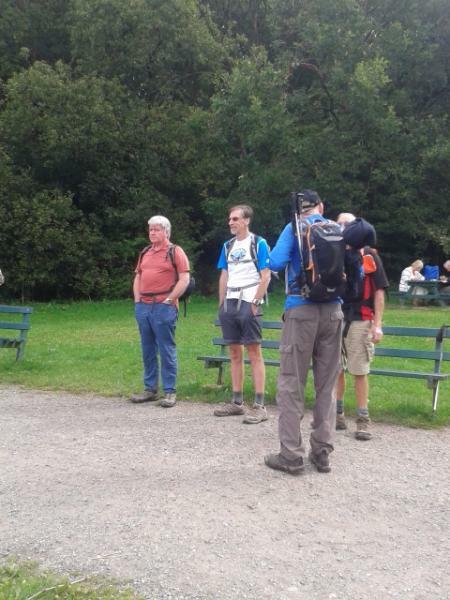 One intrepid member joined us from deepest Cheshire taking nearly 2 hours to travel! At least there was little mud. Leaving Ladybridge Estate we made our way through the first of 4 golf courses visited and walked alongside the Middlebrook as far as Lostock. Making our way across Regents Park there was the opportunity to indulge in a little Thirlmere Way Gate Spotting. 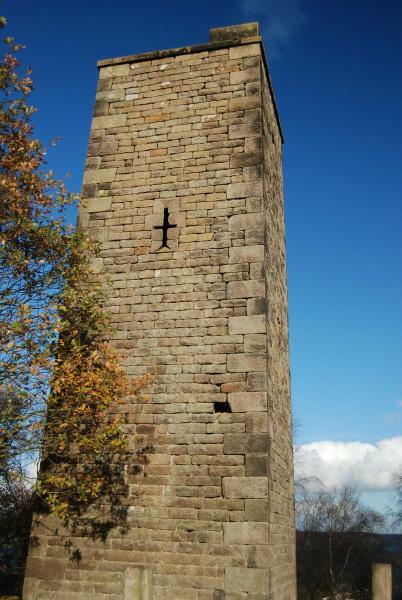 We visited one of the oldest houses in the area, Lostock Hall Gatehouse; a very impressive building. 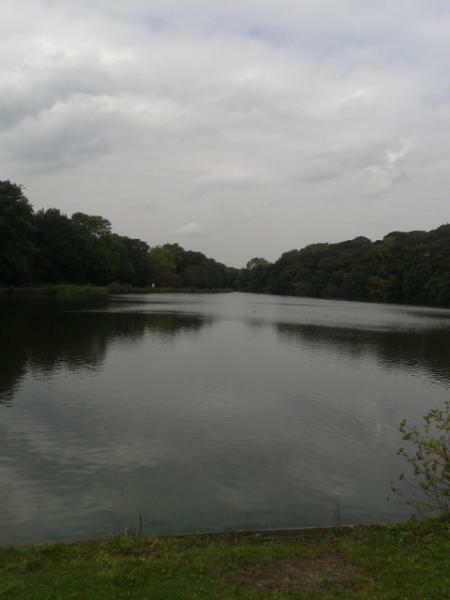 After passing Bolton Wanderers Academy we made our way up to High Rid Reservoir past Bolton Golf club to have a bracing walk alongside the water. 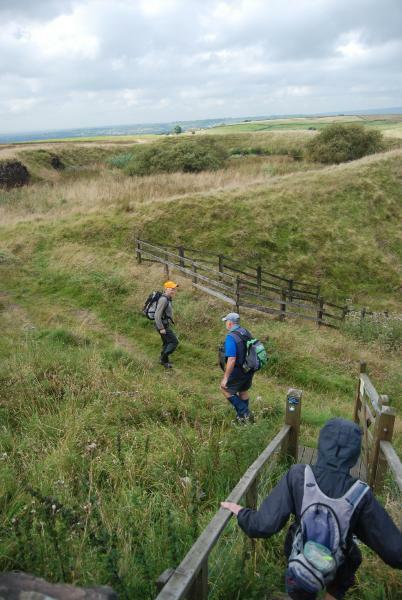 Passing some old industrial workings we crossed Chorley Old Road and climbed up through Old Links Golf Club to drop down to Barrow Bridge and a lunch stop. We stopped by the railed fence where we looked at the old narrow gauge rails which make up part of this. 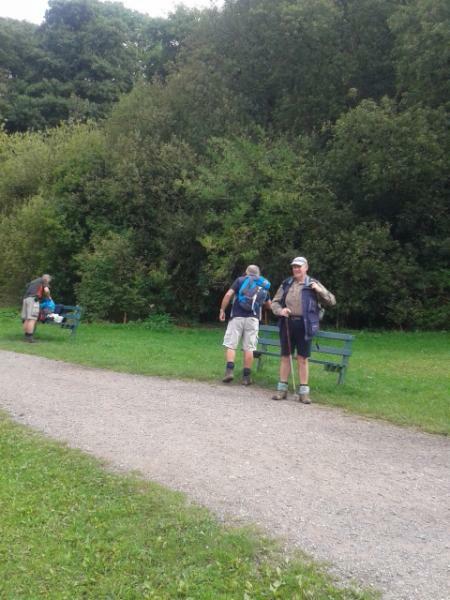 The stop meant that we were pipped to the Barrow Bridge picnic tables by another walking group who were just seating themselves as we walked up. Points lost for that then! 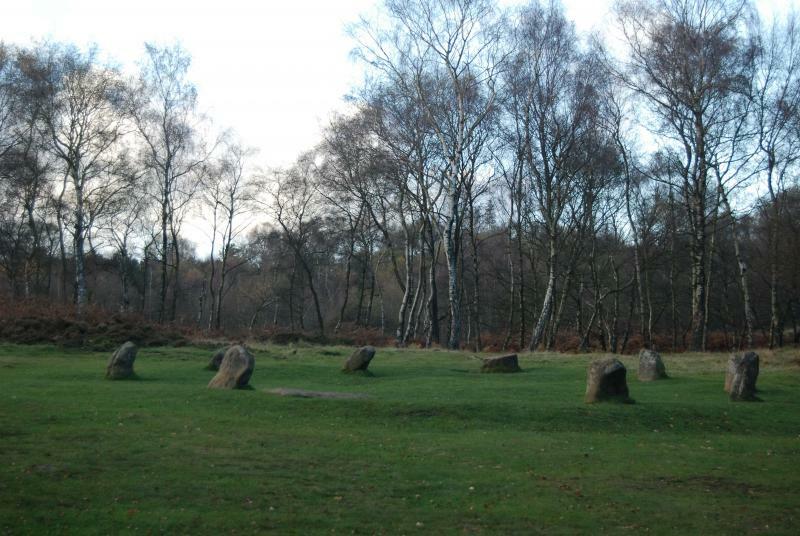 We had to make do with large boulders. 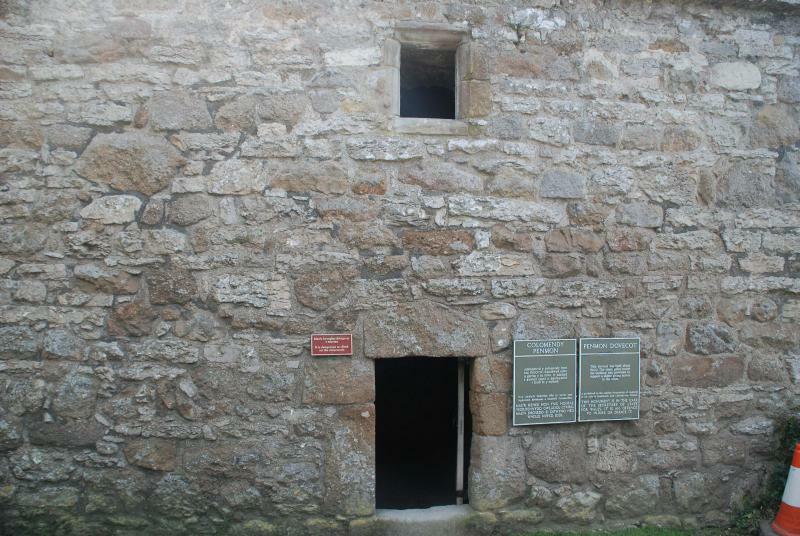 More history was recounted here. 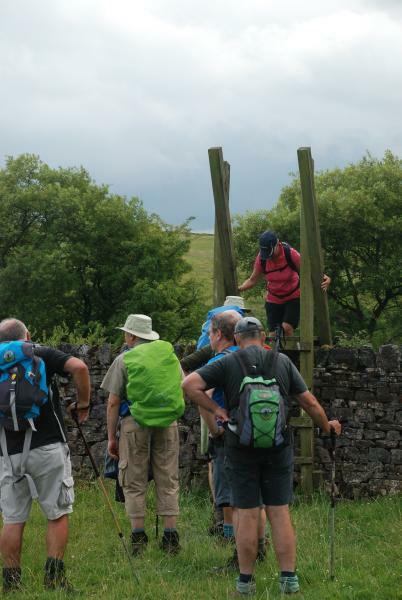 The group was given the option of extending the walk at this point and the answer was yes. 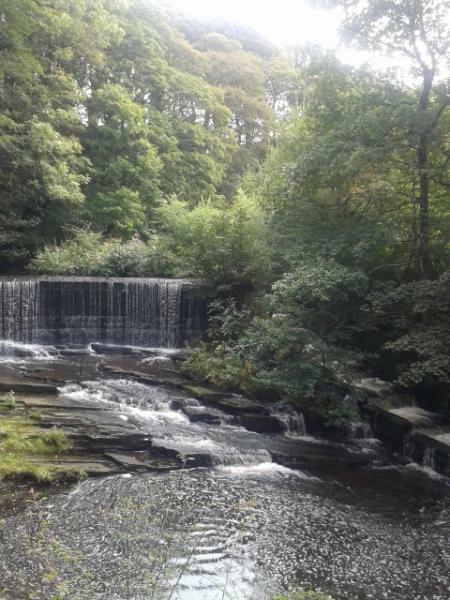 The day was pleasant so we went over to Smithills Country Park. 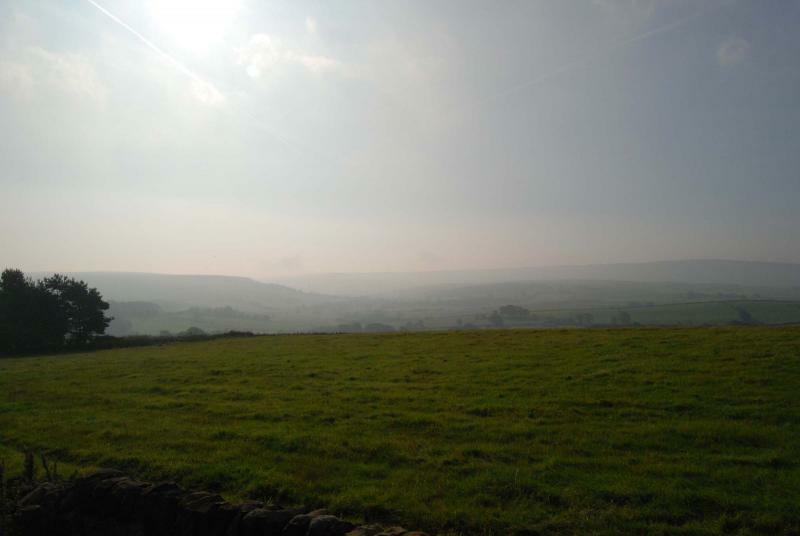 Skirting Horrocks Wood we were rewarded with good East facing views over to Holcombe and the Pennines. We turned to start the return journey passing the Petting Farm - trying to spot the reindeer as we went. 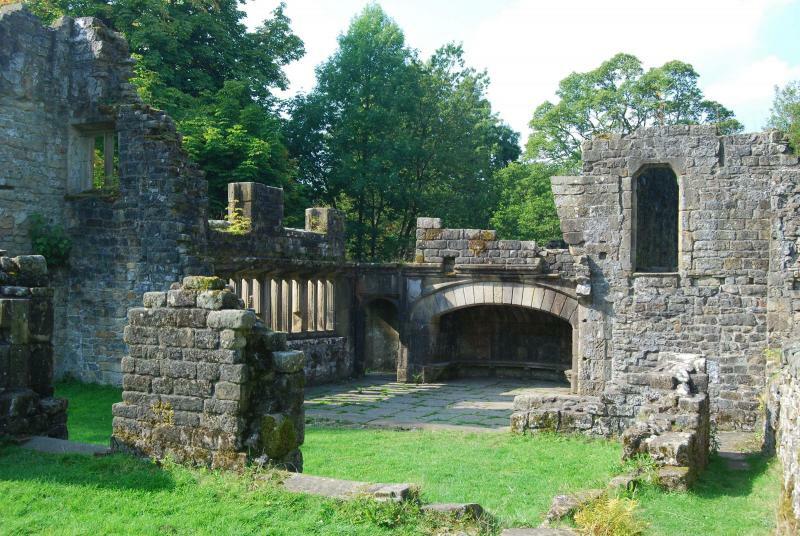 We also visited the outside of Smithills Old Hall, a beautiful building. The Coach House is now well on the way to being upmarket housing. Dropping into the wood and up along the road we reached the old chimney at the edge of Moss Bank park. 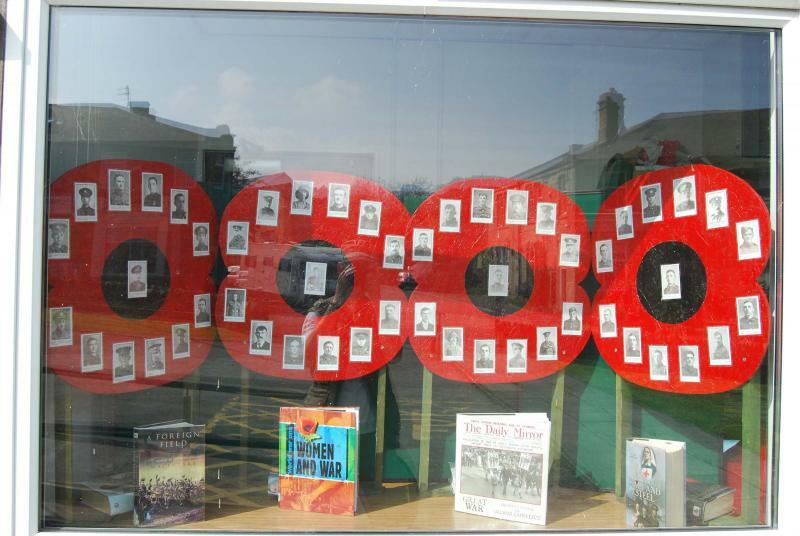 More history re this and a look at Fred Dibnahs plaque on the side. The Peregrine Falcons that nest on the chimney were spotted a few times too. Into Moss Bank Park and a stop at some tables. The new Ice Cream Parlour was open but only a couple of people indulged. Onward and along some grotty footpaths to reach Doffcocker Lodge where we crossed through the middle and made our way past the posh houses of Markland Hill to reach Ladybridge Lane. Back through the estate and into the Beaumont Arms for those who wished for a reviving tipple. 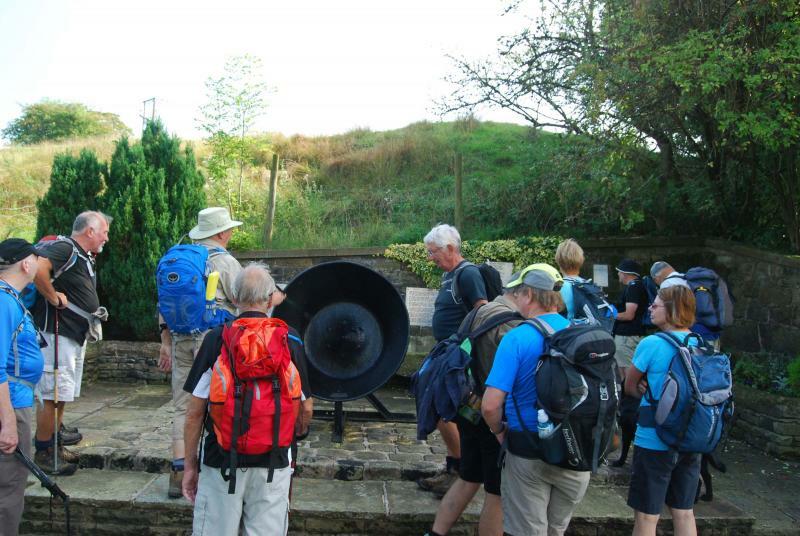 Thank you to all who came and a special mention to Phil whose local history knowledge kept us all entertained. I certainly learnt a lot from him. 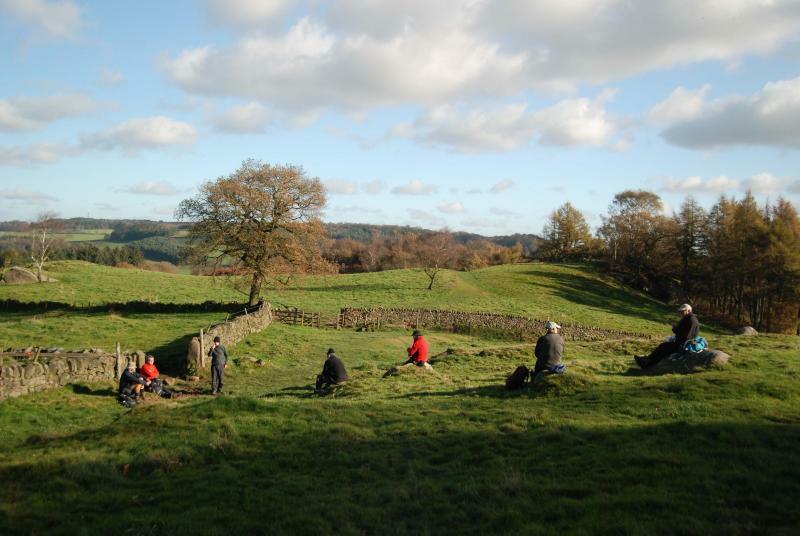 Nine Plodders met in Youlgrave, Derbyshire, for a ten mile stroll on a beautiful autumn morning. 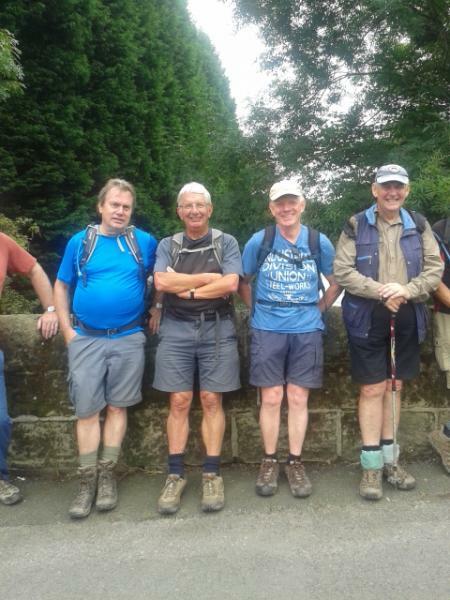 Eight of the Plodders were from East Lancs while Steve, a lad from Derby chose to join us. 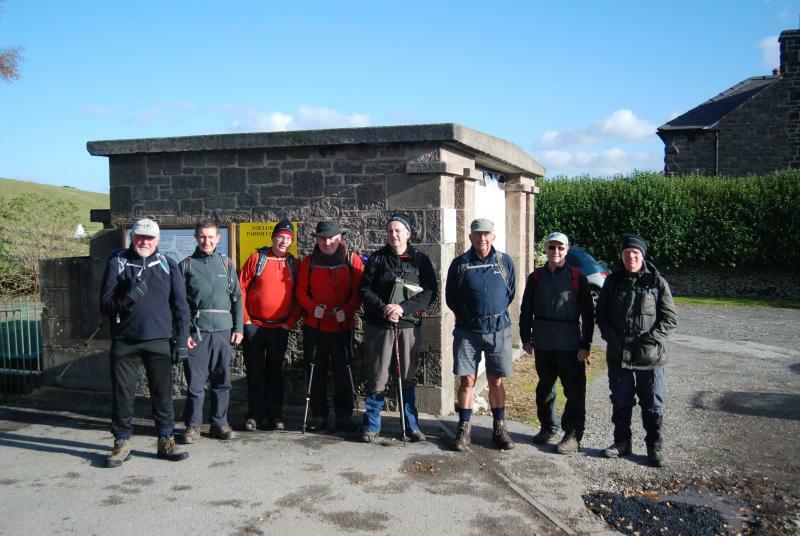 It was a 10.30am start to give the walkers time to get there, but traffic at that time of the morning meant it was around 10.50am before we all set off. 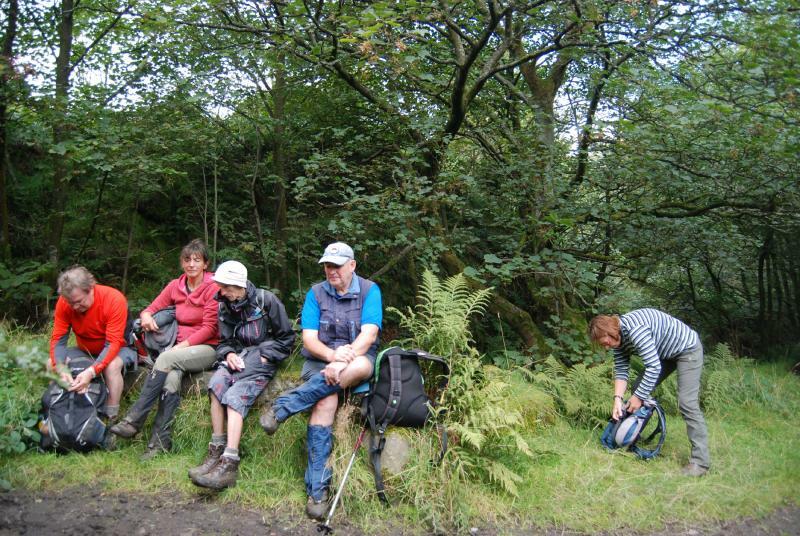 As the area suggests, Peak District, it was a case of ups and downs, but nothing the party couldn't take in their stride. 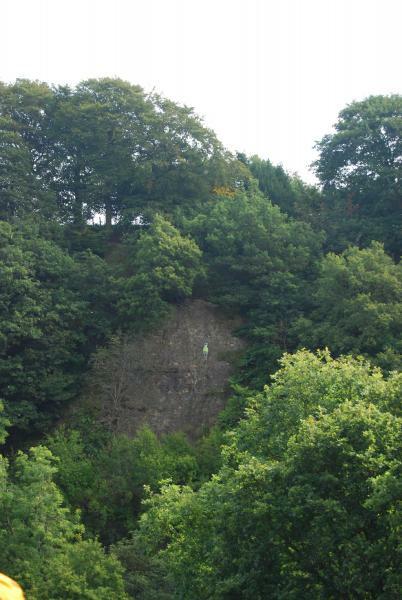 The first drinks stop was at Robin Hoods Stride (locally known as Mockbeggar's Hall) an outcrop of rocks, which stand apart about the length of a cricket pitch, which, allegedly, Robin Hood leapt across to escape his pursuers. 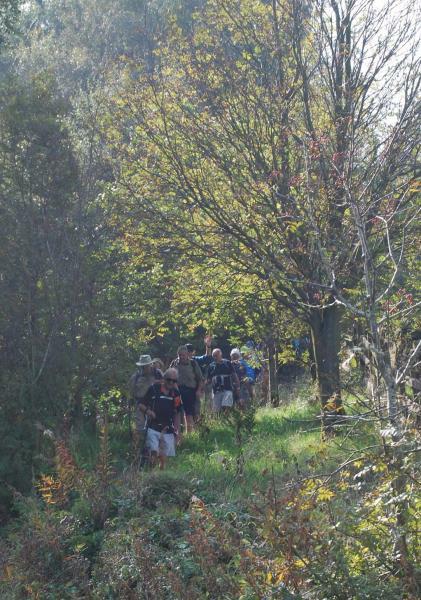 Some of the Plodders took a closer look while others took time to catch their breath. From here it was a short diversion to visit the Hermit's Cave. 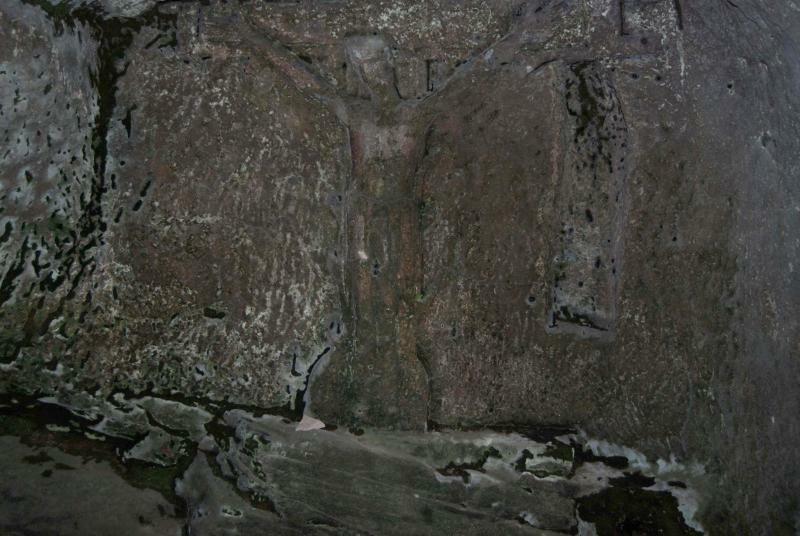 The cave is protected by iron railings and a locked gate as inside there is a crucifix chiselled into its wall, fully visible from the bars. 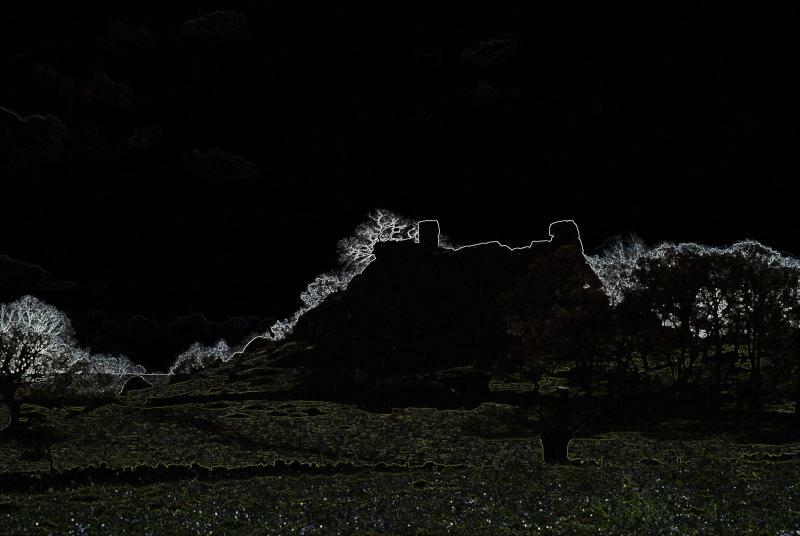 The cave is situated beneath a large crag, Cratcliffe Tor, which is often used by rock climbers, but there were none evident while we were there. 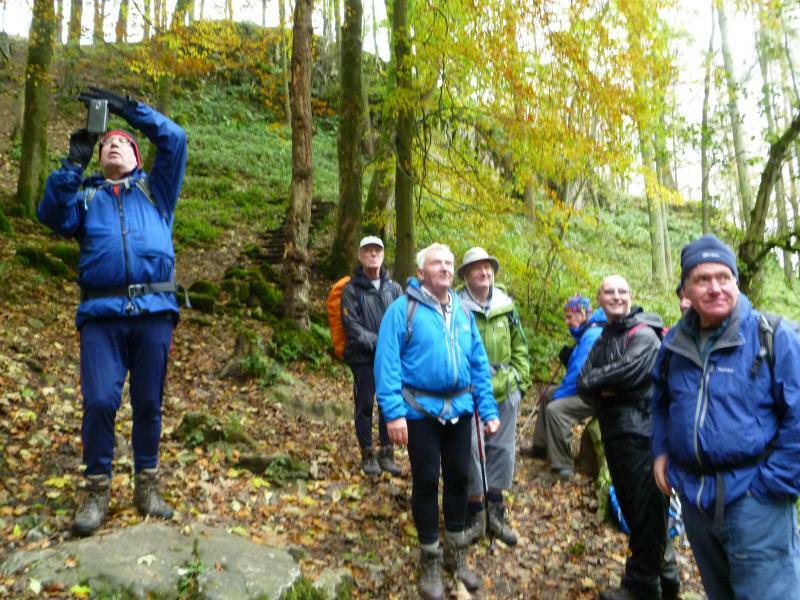 As we dropped down from the cave we passed another party of walkers, Chesterfield Ramblers, which Steve had waked with on occasion. They where enjoying their packed lunch. 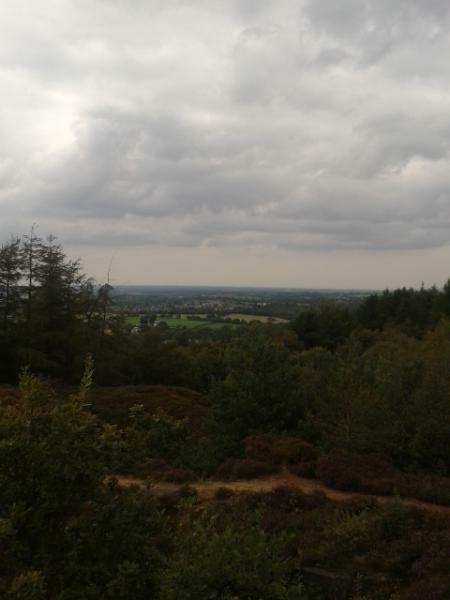 We had another hill to climb before we parttook of ours. 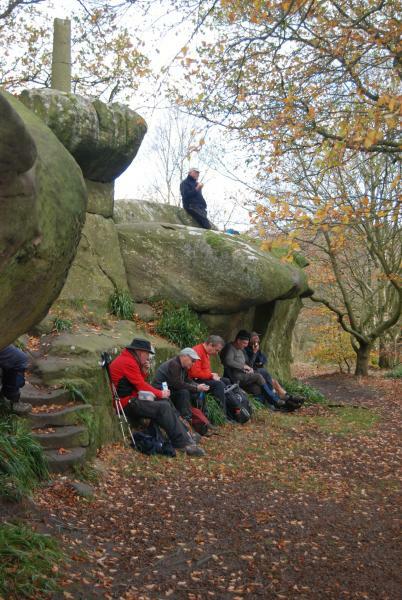 The spot I had chosen for this was Rowter Rocks, another outcrop of large boulders which is the folly of one man, Thomas Eyre, an eccentric parson who carved out various seats and forms around 1700. 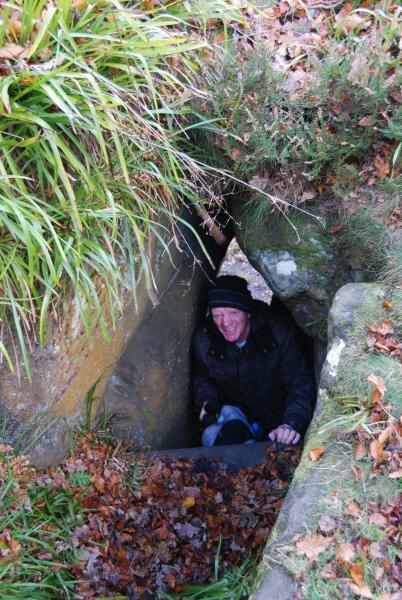 Some of the Plodders reverted to their childhood scrambling among the rocks and crawling through the caves. 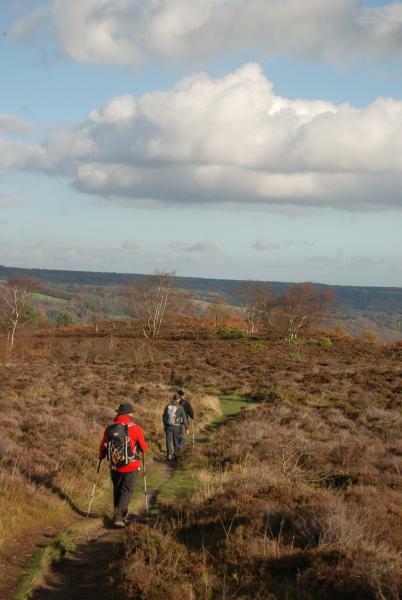 Following lunch we skirted the back of Birchover through some woods coming out at a Stone Cutters Mill and headed on up the road to Stanton Moor. 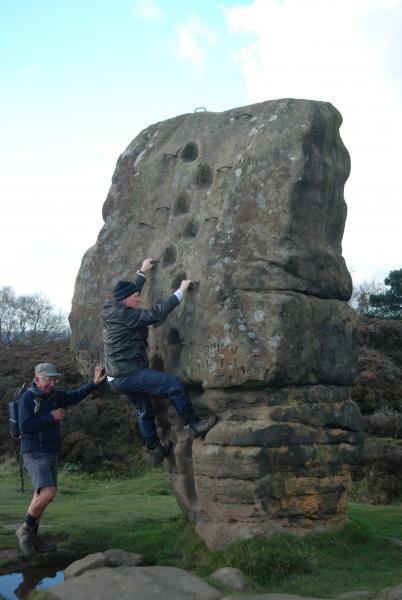 We stopped briefly at a large stone which had hand holes and metal steps cut into it for people to try and climb it. One tried but he didn't manage to reach the top. 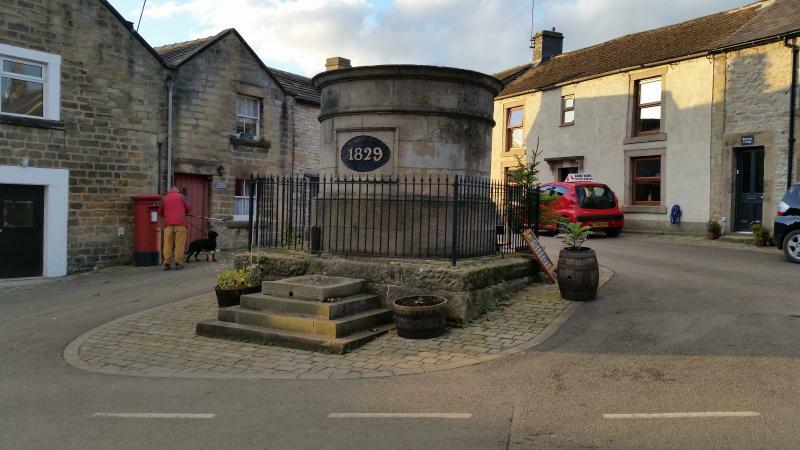 The moor was crossed in the direction of Earl Grey Tower, which was erected in tribute to the Prime Minister who carried the Reform Bill through Parliament in 1832 (he also created his own blend of tea). 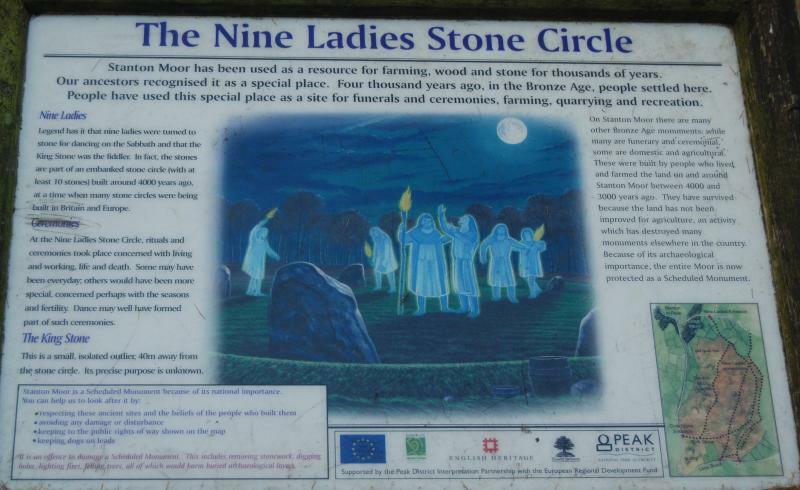 It was a short walk from here to Nine Ladies Standing, a Bronze Age Stone Circle. 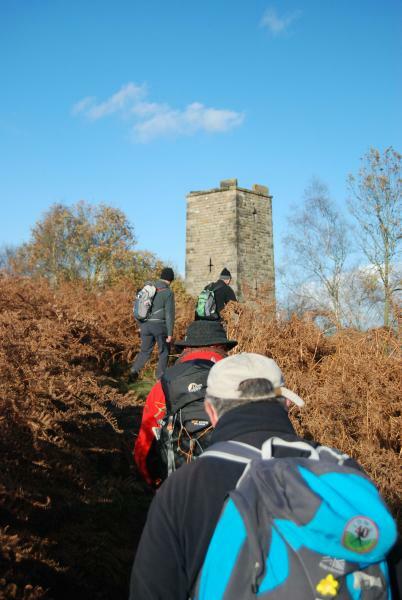 Here we came across the Chesterfield Ramblers, they had taken a shorter route across the moor and didn't take in The Tower (they had seen it a couple of weeks earlier). 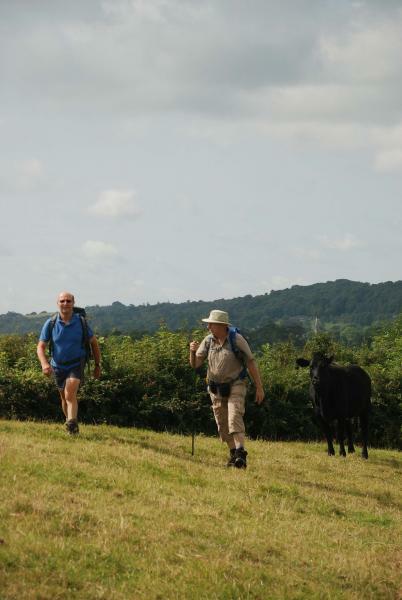 We followed them towards Stanton In Peak but they came to a sudden halt as some of the party had dogs with them and their presence was stirring up some cattle with calves which were in one of the fields. We managed to get through unscathed, I helping one the Chesterfield women safely across. 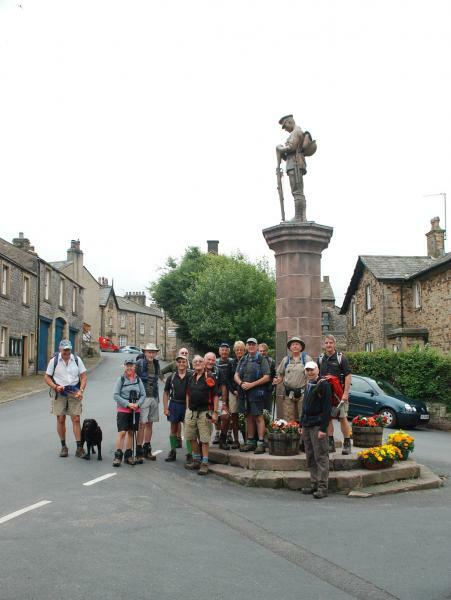 While they regrouped we headed down to Stanton In Peak and a further drinks stop at their War Memorial. 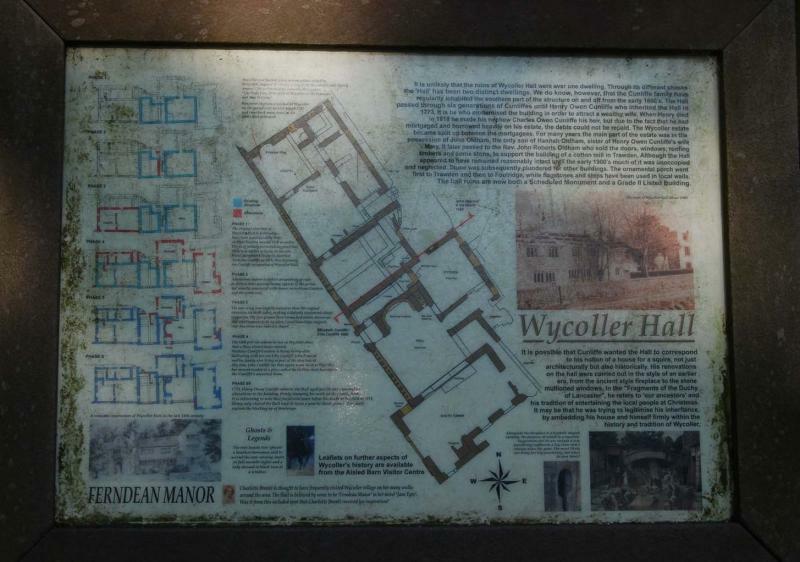 Some of the Plodders noticed the letters WT carved into the lintels of some of the houses, these were built by William Thornhill, who lived at nearby Stanton Hall. It was downhill from here and then up a road and through a caravan park. 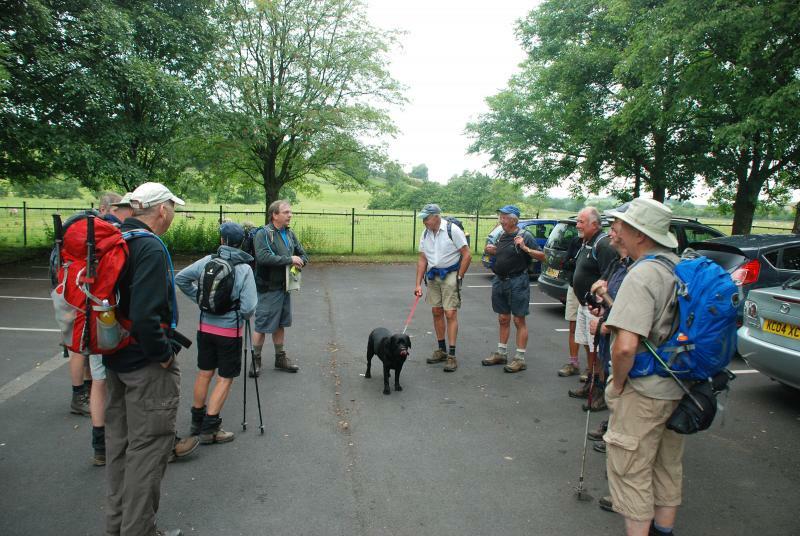 Here I had a problem finding the path out of the park, but eventually a walker was spotted and we all got onto the correct path down to Alport. 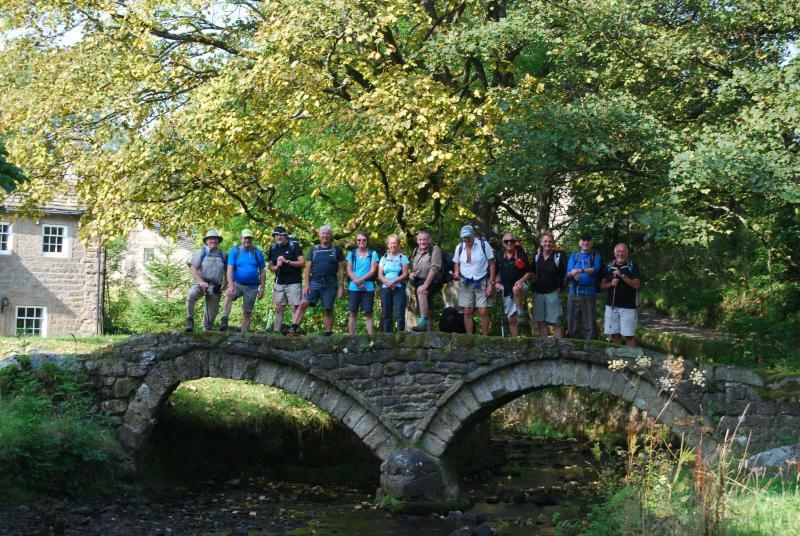 A gentle stroll along the side of the River Bradford was followed by a packhorse bridge over it and a steep climb into Youlgrave coming out at St George's Church. As we walked back to the cars through the village we passed the YHA, an old converted Co-operative shop and a unique water tank. 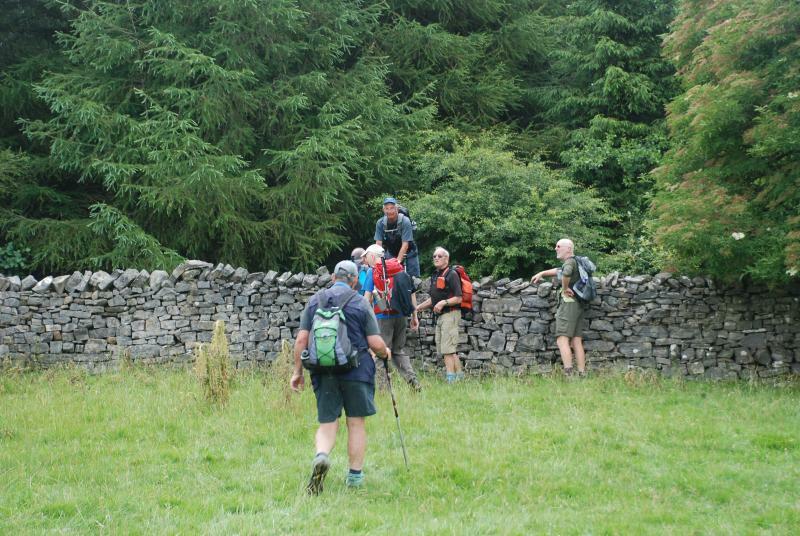 All the walkers appeared to have enjoyed this Peak District excursion and thought the mileage by car to the start well worth the trouble. 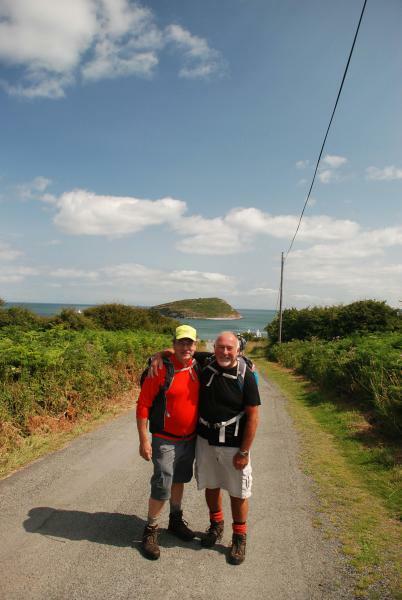 Martin's report and photos are available on his phreerunner blog. 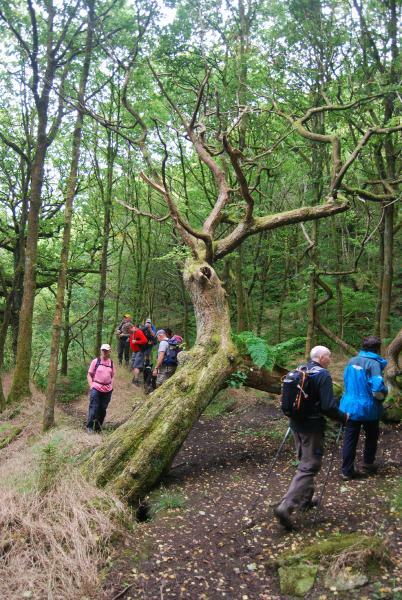 What, a report on a Stormin' Norman Walk!!!!!! Well as I was on it, I thought I may as well provide a few words. A total of eleven of us assembled in the car park on a pleasant dry morning in the glorious Ribblesdale market town of Settle. This included three guests as my wife was on half-term and I had also invited a couple who had recently moved to Settle from down south. 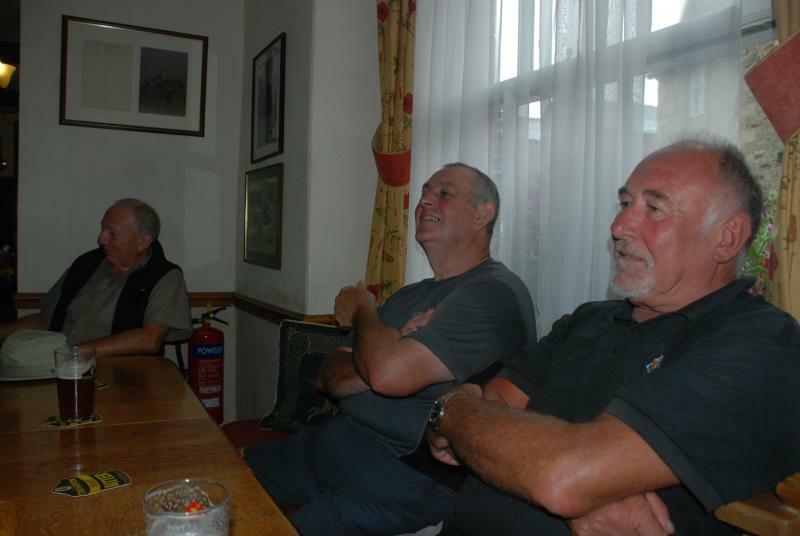 They have remained good friends from their days with Horwich Harriers. 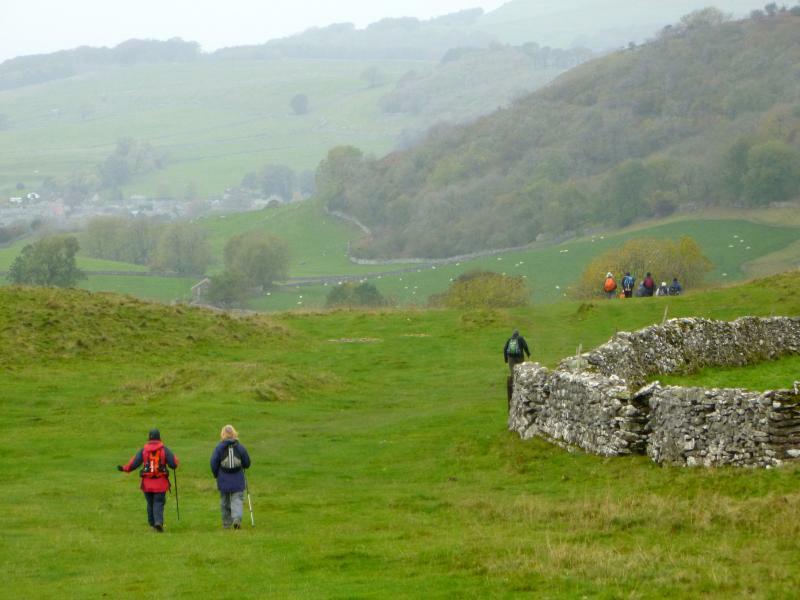 We headed out of Settle at a decent pace, Norman describing the assembled gathering as Elite Plodders, soon to be climbing up through Lords Woods, regrouping at the start of the ridge before a pleasant traverse of the limestone and onto a good path. This led to our late morning stop at Elaine's Tea Rooms at Feizor. This certainly is an oasis in a little village and worth a return. 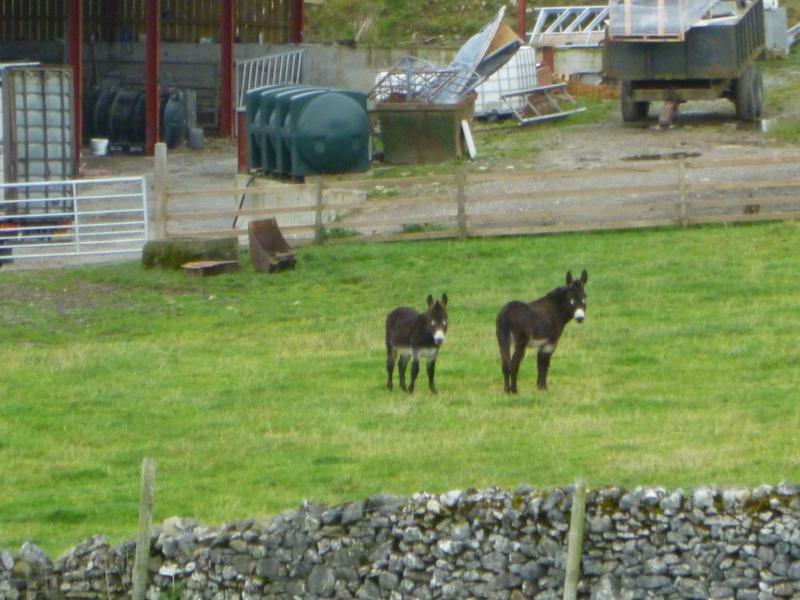 They even have their own resident donkeys (not at actually residing in the tea room, but in a nearby field). I have since discovered they go by the names of Brian and Gerry. 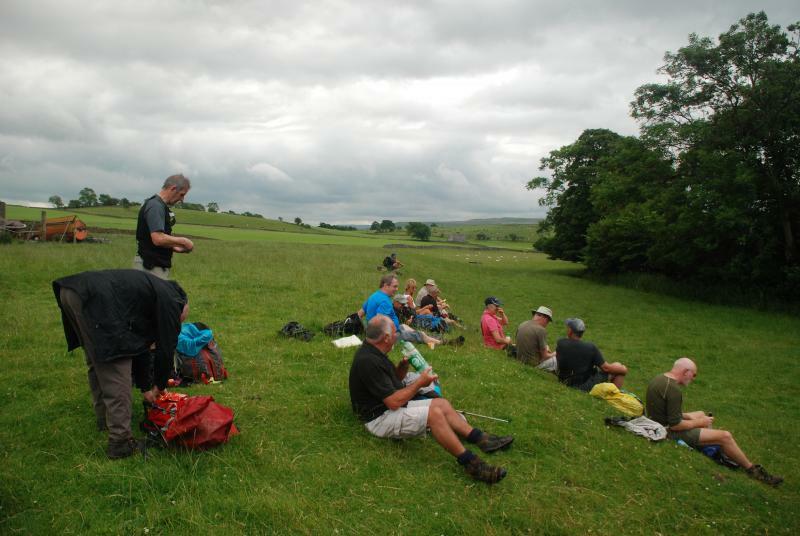 After some excellent tea we headed in the direction of Stainforth with the weather undecided whether it would rain or not. 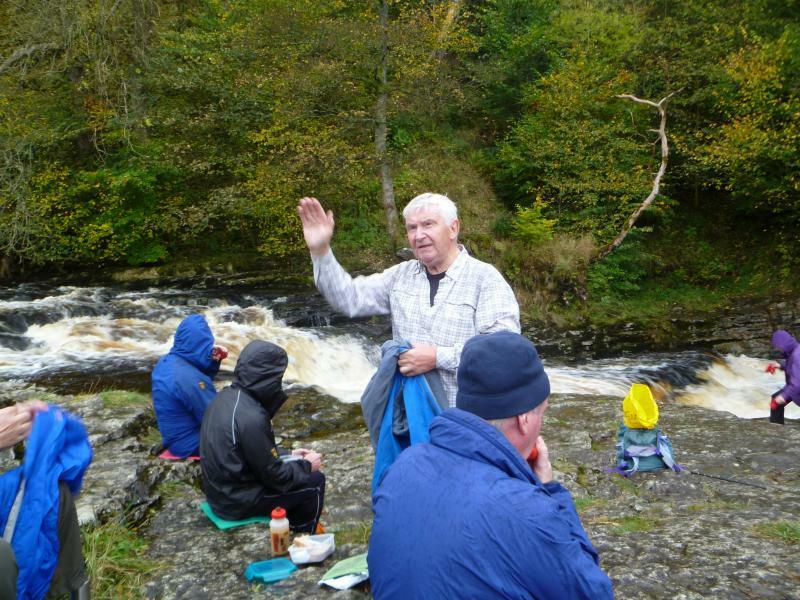 Lunch was taken at Stainforth Force, an idyllic location. On departing, my wife Julie and our friend Anne headed back down the riverside path to Settle whilst Anne's husband, Chris, known in some parts as TLoB (The Lord of Brentford - amongst other monikers), stayed with us, providing Norman with much local knowledge gained in only two month's residency. 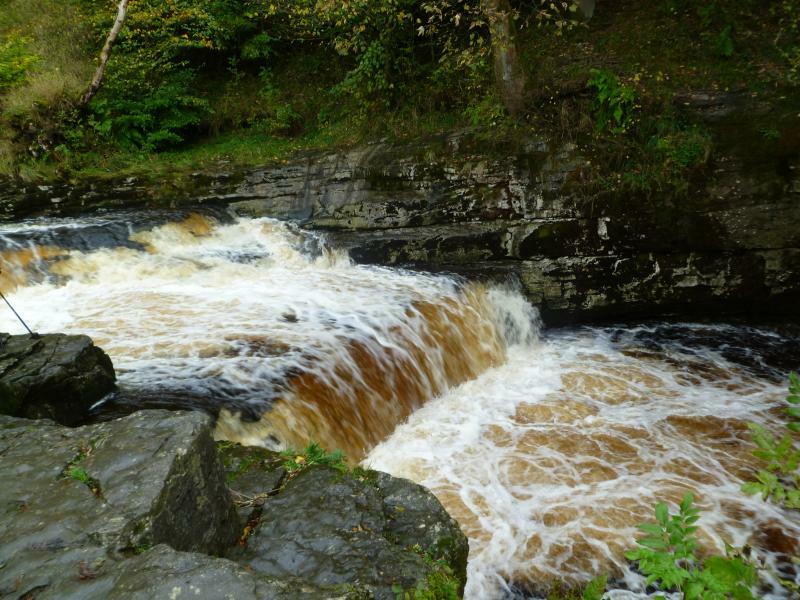 Our first target after lunch was Catrigg Force, which was in pretty forceful flow, before making our way round the edge of Attermire Scar and Warrendale Knots, thence over Sugar Loaf Hill and back via High Hill Lane to Settle. The remainder of the group found a local hostelry while Chris and I headed to his new residency for more tea. 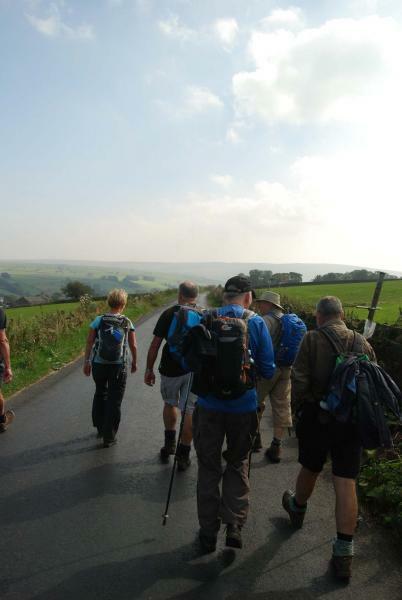 They enjoyed the walk so much that they expect to join - and East Lancs seems to be as local to Settle as any other group. I managed to take a few photos en route. : some below and more on flickr. If anyone would like any of the images full size, please let Martin know and he'll send them attached to individual messages. 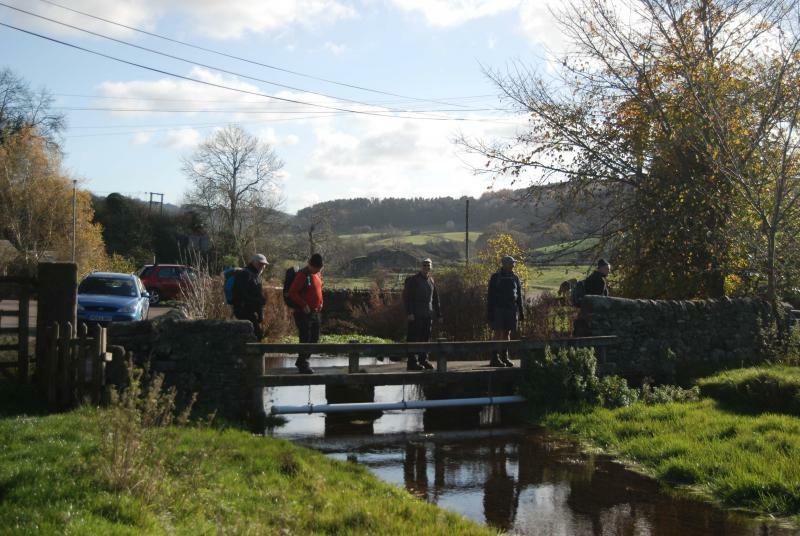 Off we trotted, unlucky thirteen and John's dog, from the car park of the Alma Inn, Laneshaw Bridge, to walk three industrial but old villages on a beautiful Wednesday morn which would include hills riverside and woodland. 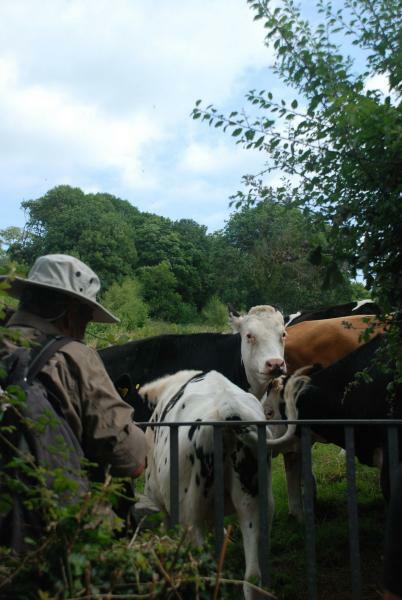 Down the hill past a golf club then a quarry, later crossing the aptly named Watery Lane, part of it being a stream, checking the path with a lady dog walker she replied, 'ey straight on past them pens' and sure enough there were the pens containing hens, allotments to most of us. We had a short drinks stop at Foulridge to admire the boats on the canal near the mile long tunnel. Upon leaving Foulridge the path then took us straight across the front of a primary school (most unusual), through the field and across a path between two reservoirs with great views of cormerants sunning themselves, up a good footpath provided by the owner of a large house who did not want us on his drive, better than being shouted at, methinks, then a bit of pavement walking on what was the old Skipton/Haworth turnpike road. At the bottom of the hill there is the stylish turnpike house where it seems the man there would insist that travellers paid for the whole journey only for the man on the next turnstile to get very frustrated about this, eventually blows being exchanged. 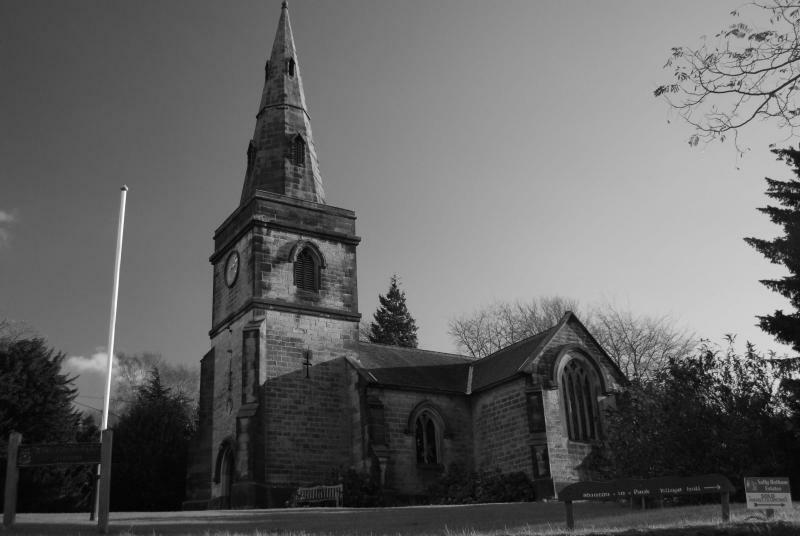 The path then follows Coln Water passing the base of the cemetery where lay the remains of Wallace Hartley the bandmaster on The Titanic who famously played on as the ship sank : his remains were returned home after a public subscription. 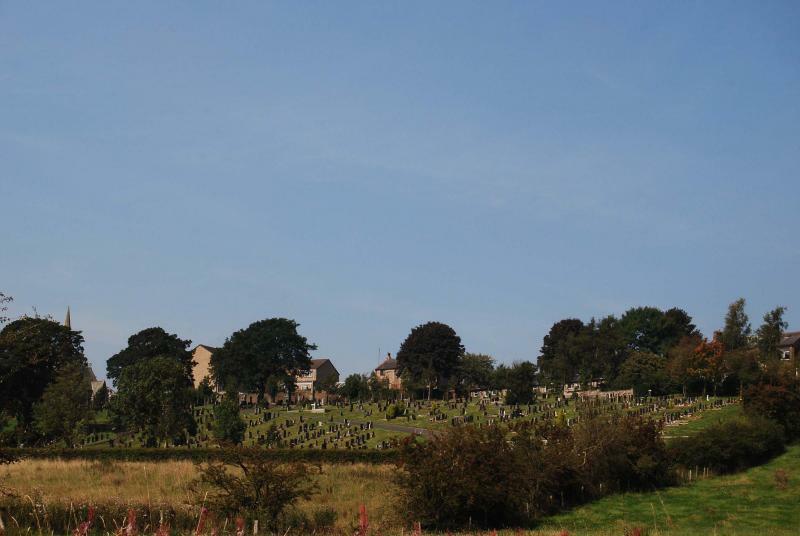 Climbing up the hill, creating fine views, there is a stone proclaiming the original name of the village to be Trawden Forest, passing also an old graveyard containing the family of Sir William Pickles Hartley, he of jam making fame, a good walk for famous dead people. 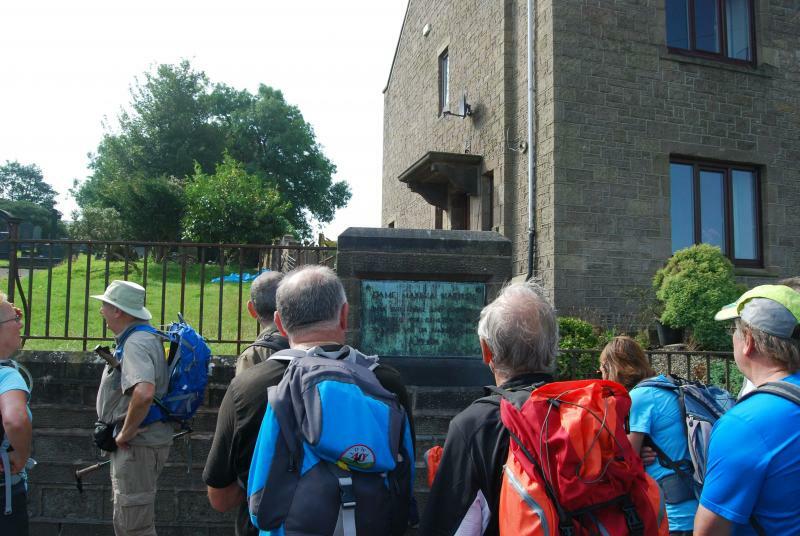 We then dropped down into Trawden to eat lunch at the side of an old jam making kettle. 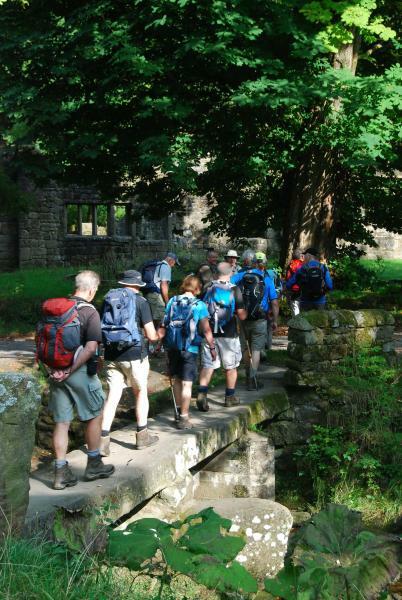 So, on to Laneshaw Bridge across country following in part the Brontës Circular crossing at one stage two very distinctive stone "pulpit" stiles where the leader felt compelled to lecture his flock on the evils of sediitious fellwalking - "dont think it worked" so onto Wycoller with its ruined hall reputed to be the Ferndean Hall of Jane Eyre then back to refreshments at the extremly welcoming Alma Inn. 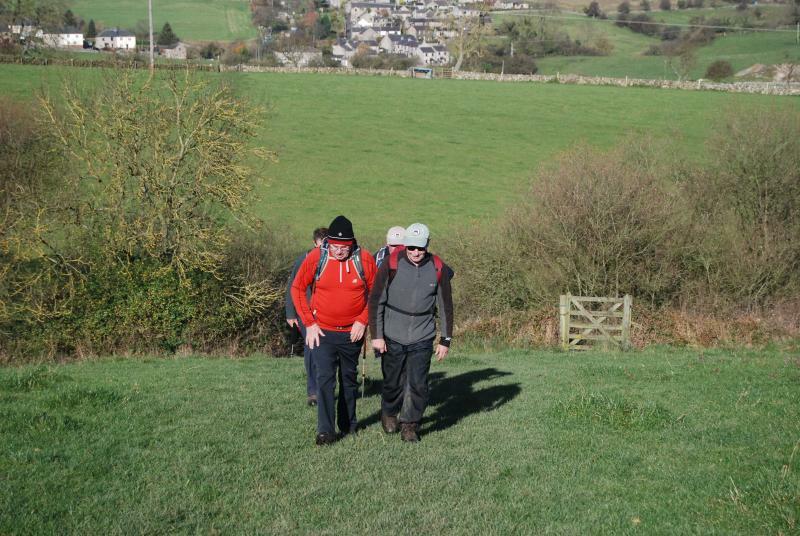 I have been wanting to put this walk on with the Plodders for a while now, and when I asked Don Watson if he would like to reccie the walk with me this week I was well pleased when he said that as there was no other walk on I could use it as a Plodders walk. 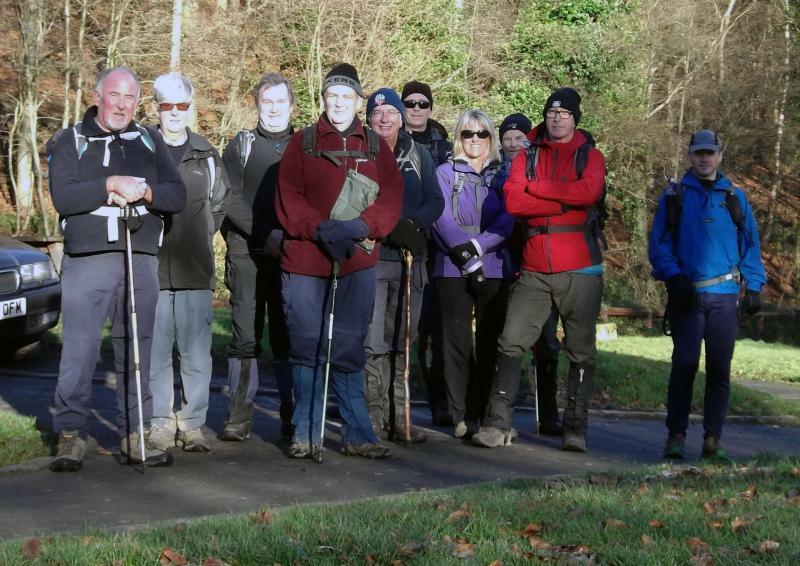 At very short notice I was pleased to see nine men who were brave enough to risk letting a novice take them on an 11.5 mile romp around Chorley. 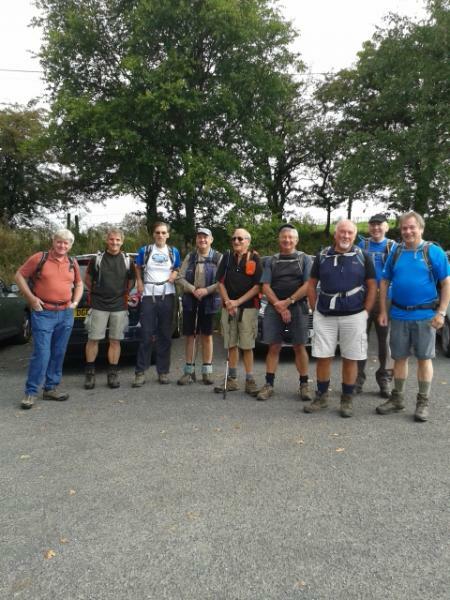 The walk started off from The Spinners at Cowling, a fine pub/restaurant, and I was glad to see that the lads had car-shared as I had suggested, with The Spinners being a popular pub I didn't want to take up too many spaces. 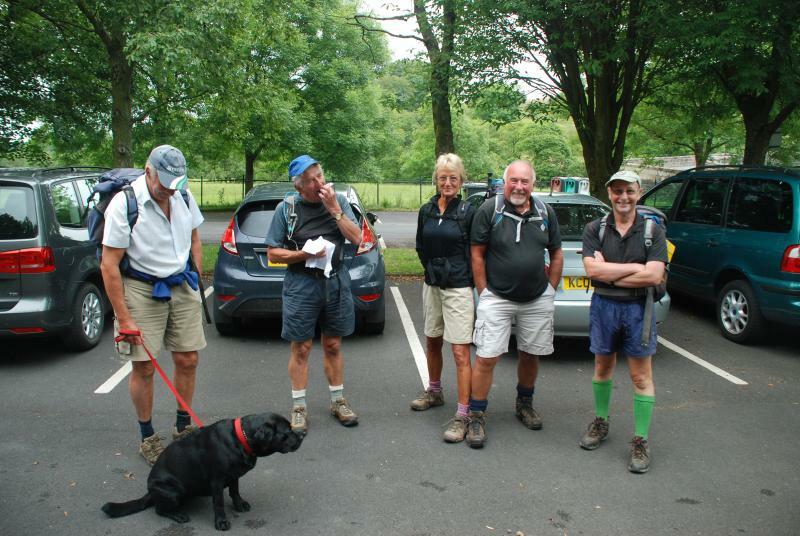 I gave a short description of the walk and then we set off down towards the Leeds-Liverpool Canal, turned right and stayed on the canal up to the bridge behind Frederick's Ice cream shop, sadly it was too early in the walk for refreshments so with heavy hearts the boys followed me down the A6 Bolton Road to the path leading up to Duxbury Park Golf Club. 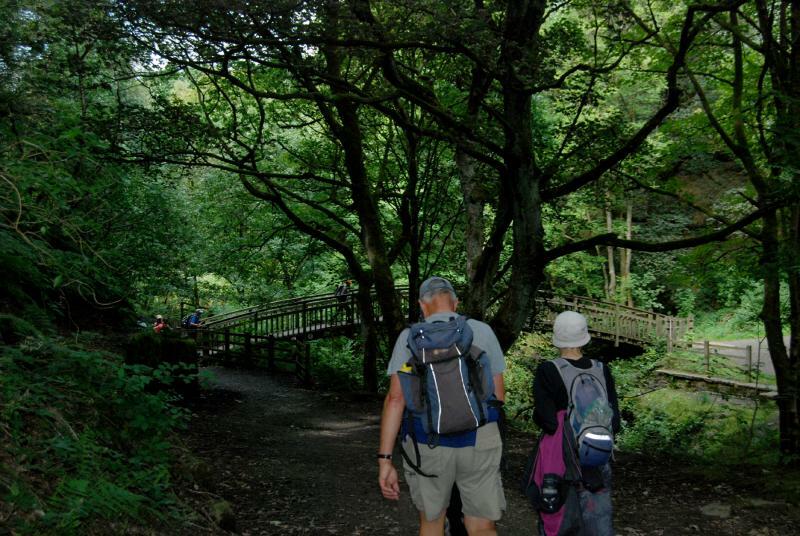 We went on the footpaths into the woods leading down to the River Yarrow, crossing the river at one of the footbridges we followed it up through Silver Well Wood and Drybones Wood to Yarrow Valley Country Park where we stopped for a well earned lunch. I had obviously done a good job picking the park for lunch as everyone said that it was a perfect spot to eat. 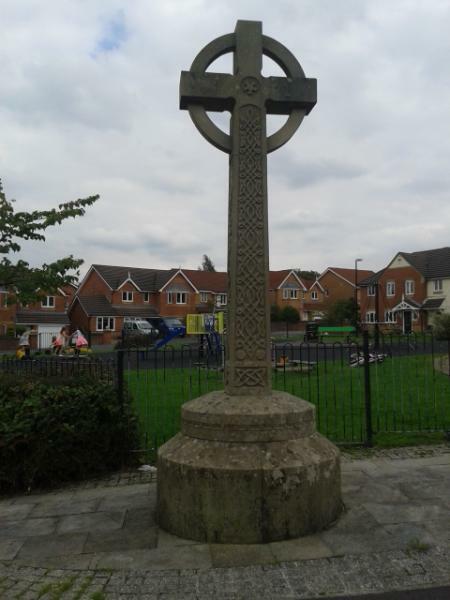 After lunch we carried on round the big lodge to the Park Visitor Centre and exit, turned right and walked up Burgh Hall passing a stone Celtic Cross near a pretty modern housing estate. 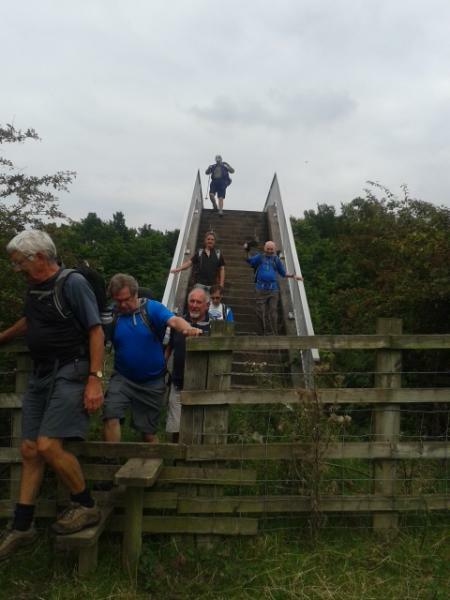 We then went down to Bolton Road again and turned left up past the Yarrow Bridge pub (sorry lads no time for Beer) to the canal again, this time we turned left and walked down the canal to Bagganley Lane bridge where we came off and followed the path up towards Healey Nab. Up until now it had been a fairly flat(ish) walk but I could feel panic in the ranks when I showed them the uphill path to the top of the Nab, but I will give them their due they all managed to get to the summit, and Bernard was even talking going up (obviously he will have to try harder next time). At the top we stopped to enjoy what view we could on a cloudy day and instantly got set upon by a great bunch of flying ants, hence it was a short stop at the summit. Setting off again I must admit I didn't install much faith in myself when I announced that this was the 'iffy' part of the walk! 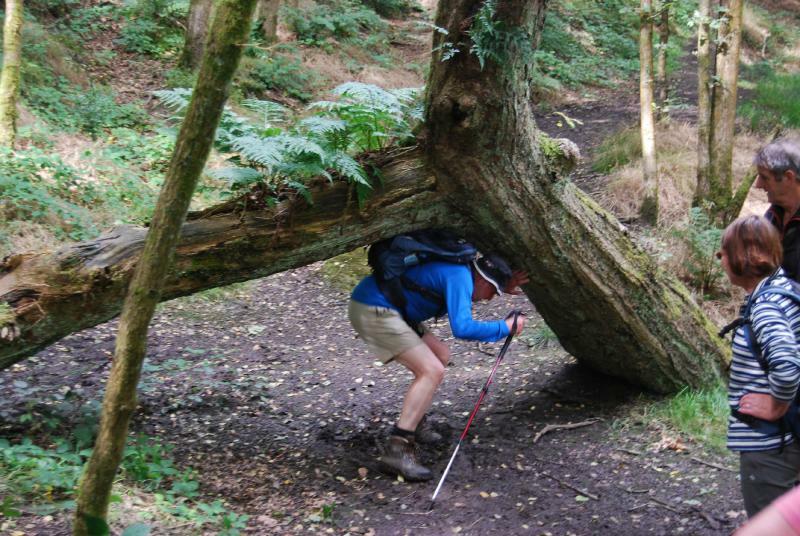 Needless to say I ventured onto a path I had never been on before and panicked when it didn't lead to where I expected it too, but with great teamwork (and the reminder that this was just a reckie) we managed to get down to paths that I knew. We followed Heapey Fold Lane and then up the road to Bibby's Farm where we followed the road down to the farm and then across fields to a path which took us over the Motorway and a couple more fields back to The Spinners. 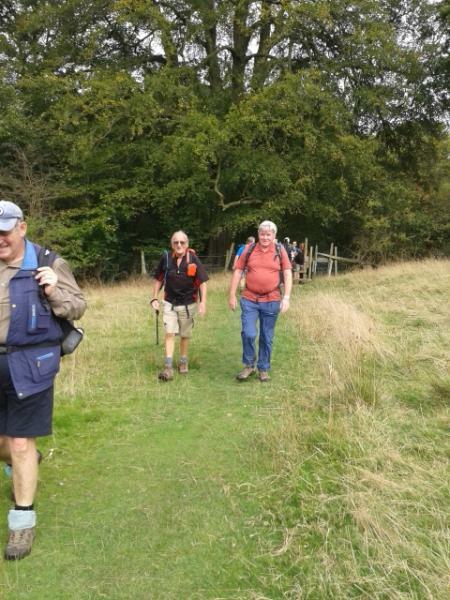 All in all a good days outing which everyone enjoyed and were well pleased with. 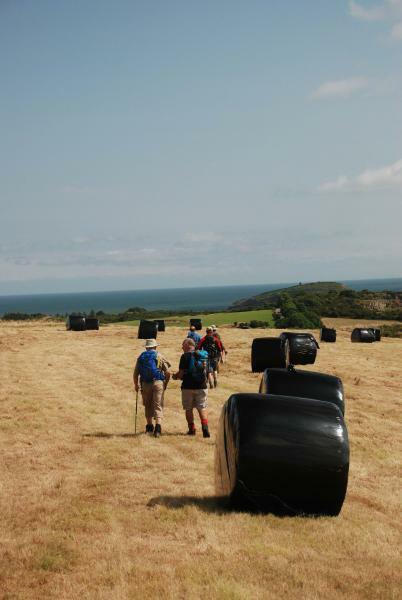 Hopefully it will become an annual event for the Plodders and I am looking forward already to taking the next group round. 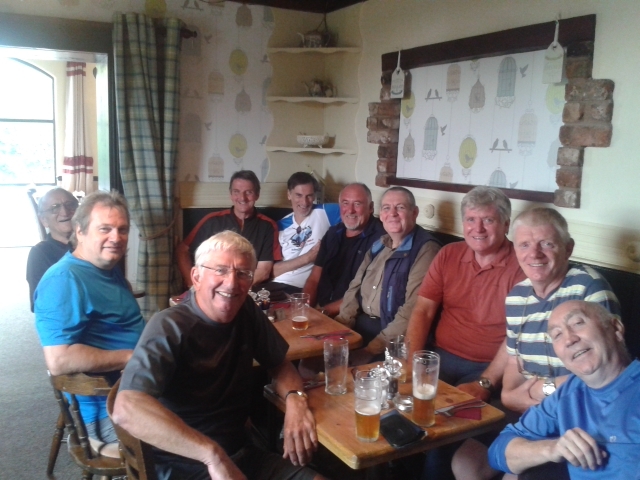 The walk was finished on a high with all ten of us going in to The Spinners for a well deserved pint, and didn't they go down well? 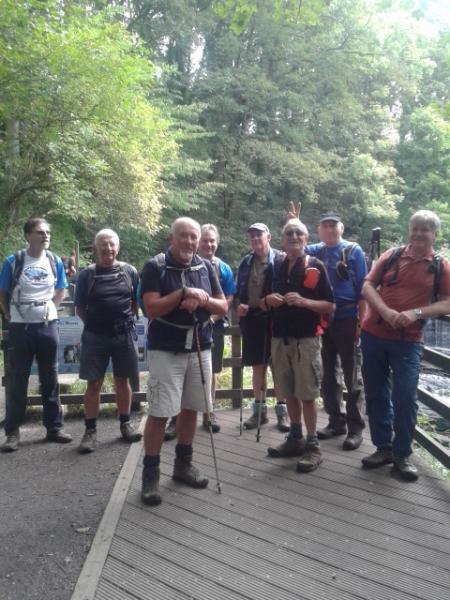 I would like to thank Don, Bernard, two more John's, Peter, Paul, (no Mary), Gordon, Neil and Phil for a great day out and the support that they all gave me during and after the walk. 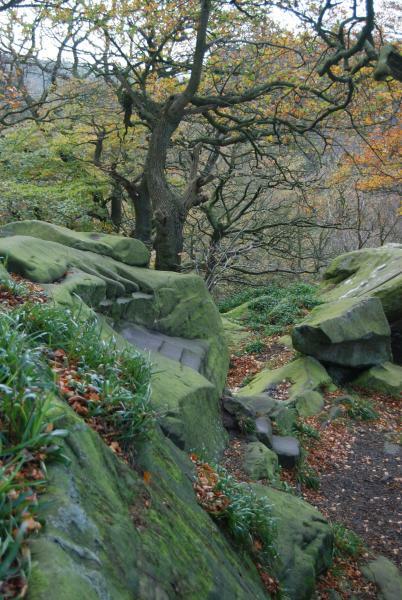 Just as an aside the name "Healey Nab" is derived from heagh (high) and ley (woodland). 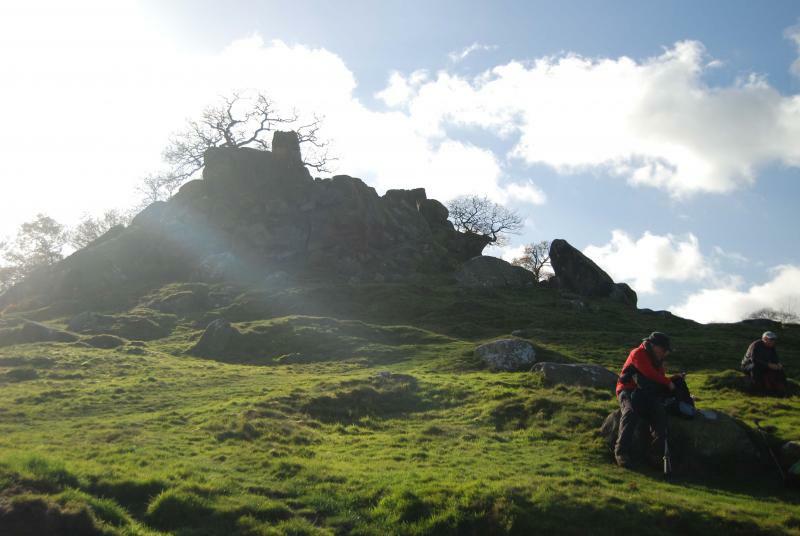 Nab is believed to derive from the Middle English word nabb meaning a promontory or headland. 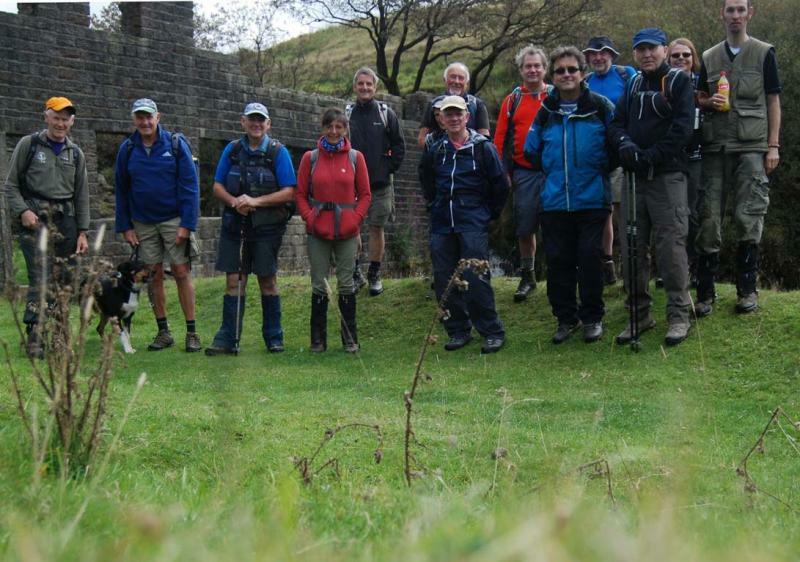 Fourteen Plodders and a dog ventured into the Hidden Valleys of Rochdale on a dry but breezy Wednesday. 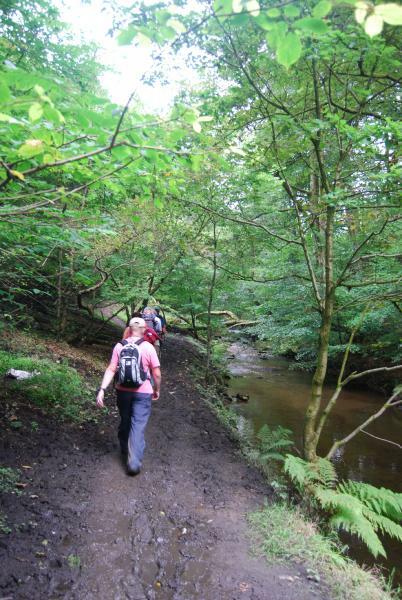 The circular walk took them through Cheesden Valley, Deeply Dale, Ashworth Valley and Naden Valley passing long forgotten old industrial sites with stone remains, lodges, bridges, chimneys and mill streams. 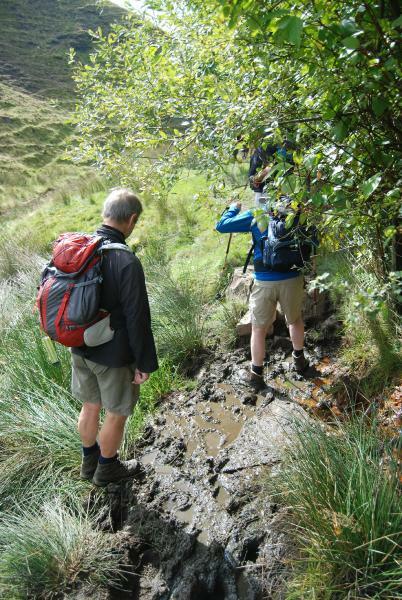 The walkers were warned at the off that gaiters were recommended as some of the paths where prone to mud at the best of times, but some managed to keep reasonably clean even without them. 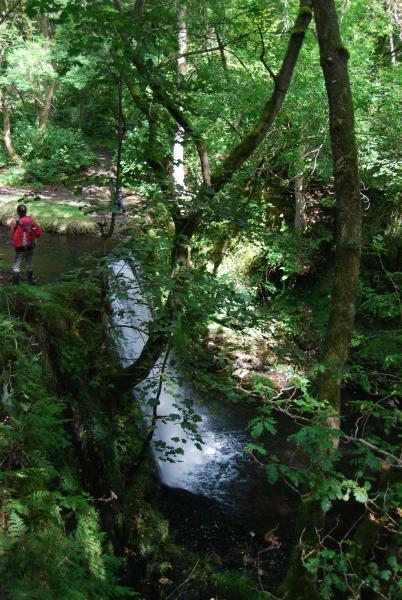 The Cheesden Brook provided power for over fourteen mills during the nineteenth century and work for over two thousand people. 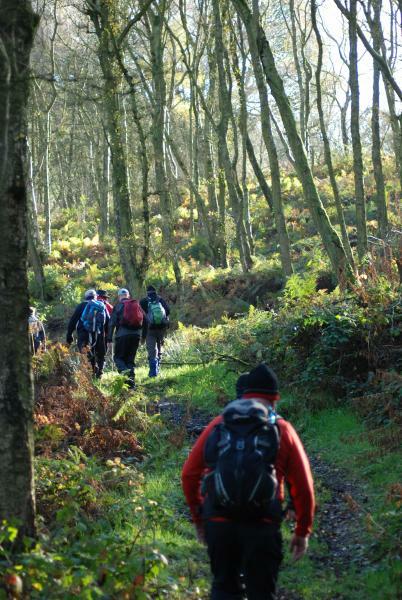 Walking through the valleys now it is difficult to imagine them all fitting into such a confined space. 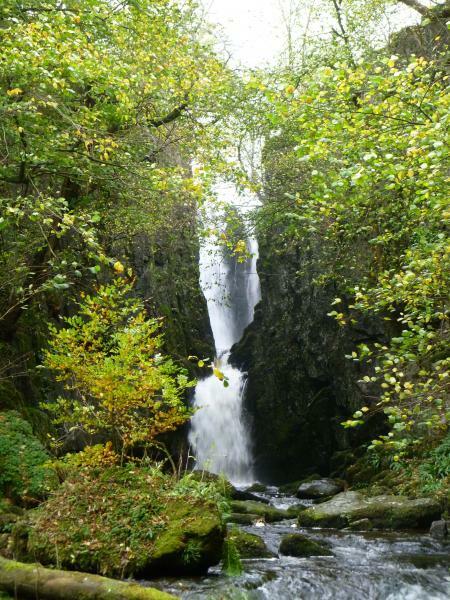 The Haweswater water system that feeds Manchester passes through the valley and between 1976-79 Deeply Vale was the site of a free music festival. The festival managed to overcome bad publicity and its soggy debut to become the major event in the free festival scene in the late seventies. 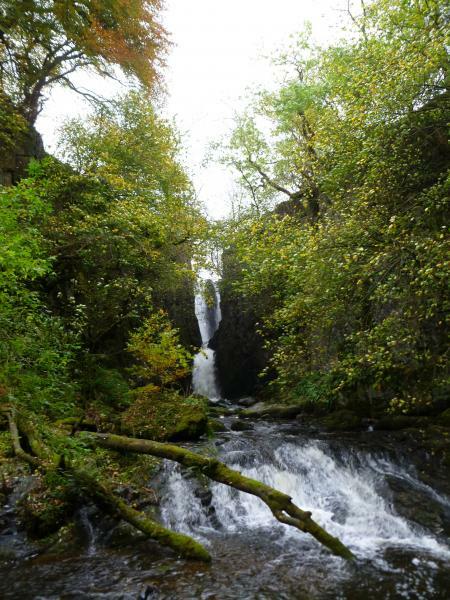 It's amazing how nature can reclaim the land after such interference by man but the old mills and lodges now add to the character of the valleys. 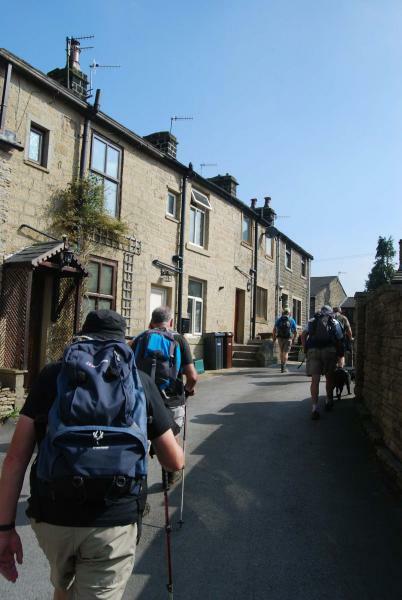 Passing a scout campsite on the opposite side of Ashworth Valley, the walkers crossed Ashworth Road and walked through a residential caravan site, the party entered the Naden Valley passing the old Carr Wood Tea rooms and more old mill sites. 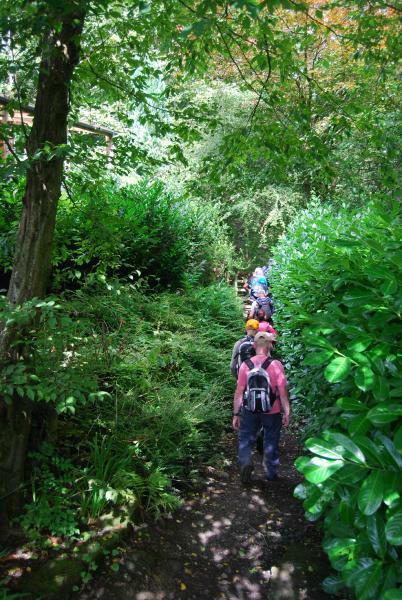 The route passed Millcroft Gardens Tearooms, which, unfortunately doesn't open midweek. 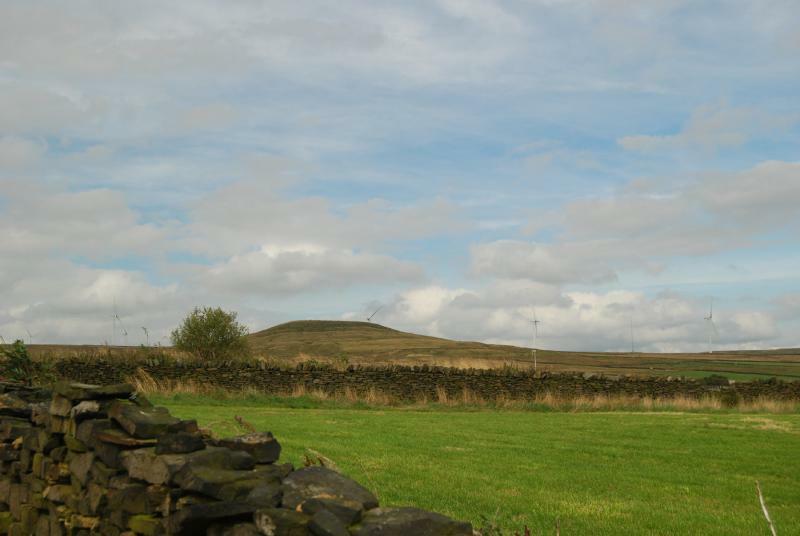 It was steadily up hill from then on to reach Edenfield Road and the Owd Betts public house beside which the cars where parked. 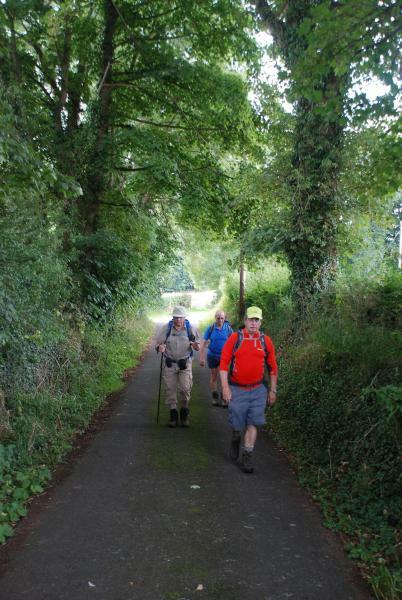 As one Plodder stated: "It was a brilliant walk!" 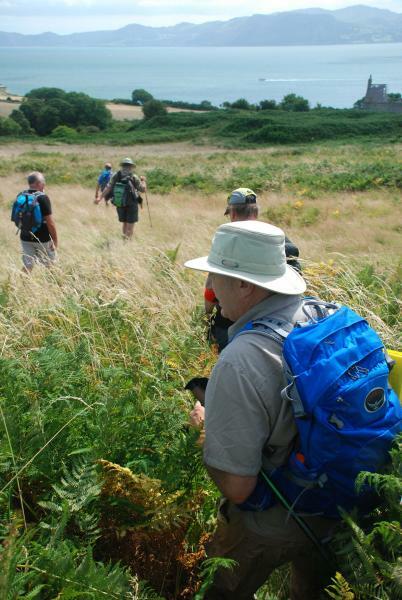 See also Martin Banfield's report on his phreerunner blog here and a slideshow here. 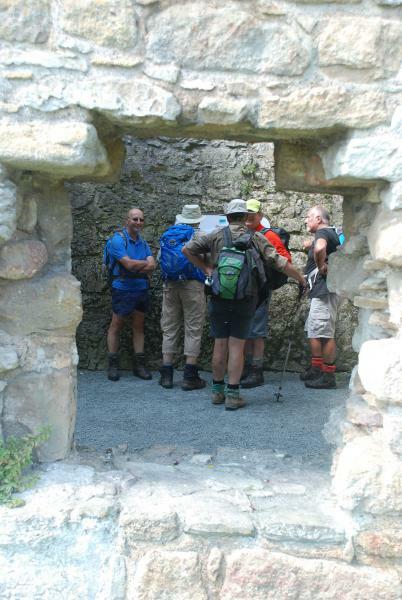 Six Plodders met at Llangoed car park, Anglesey, on a beautiful Wednesday morning ready for an 11 mile stroll taking in wonderful coastal scenery complimented by local historic buildings, the first of which was Aberlleiniog Castle surrounded by a dried-up moat. 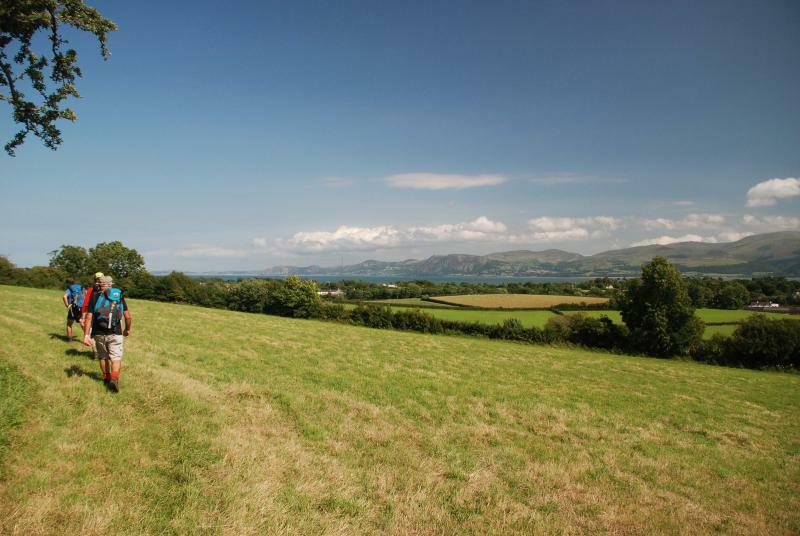 It was then onward through Penmon Village and a scenic view across the Menai Straits with old brickworks and limekilns. 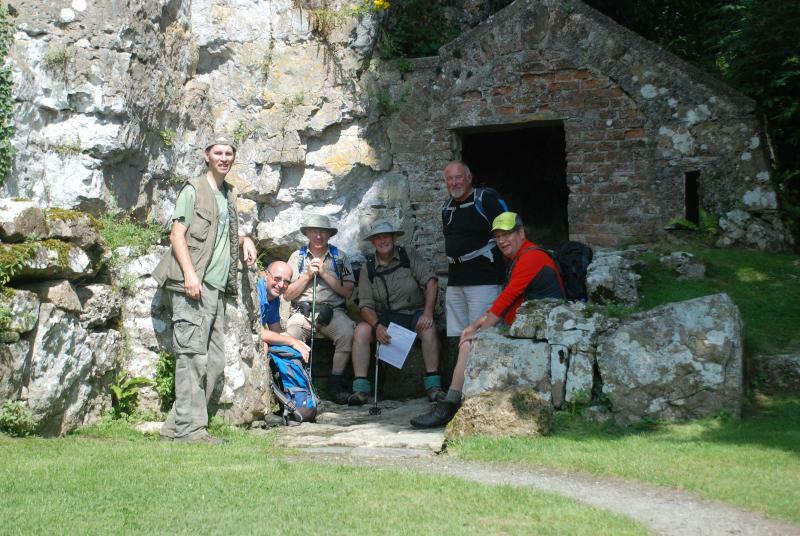 The path down to St Seiriol’s Well was overgrown and difficult to find but Roger took to the task and we all reached the well unscathed, posing for a group photo. 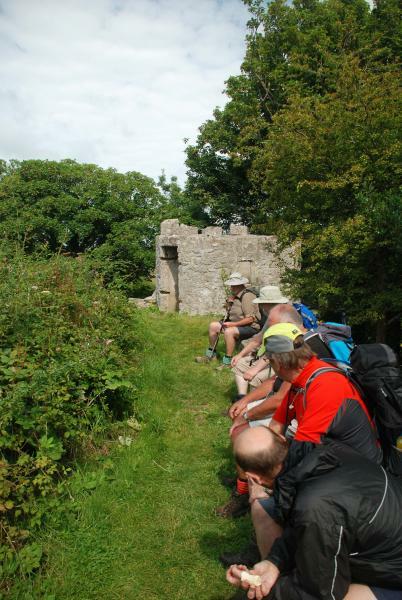 It was then on to the Dovecote and Penmon Priory before walking over to Penmon Point and a drinks stop. 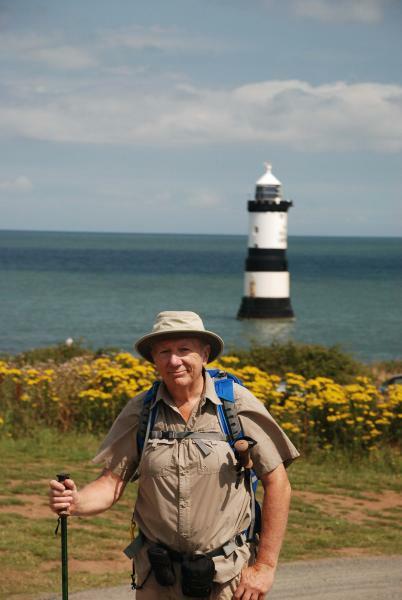 After a short stop we continued up the Anglesey Coastal Path past the old Deer Park and and interesting cottages. 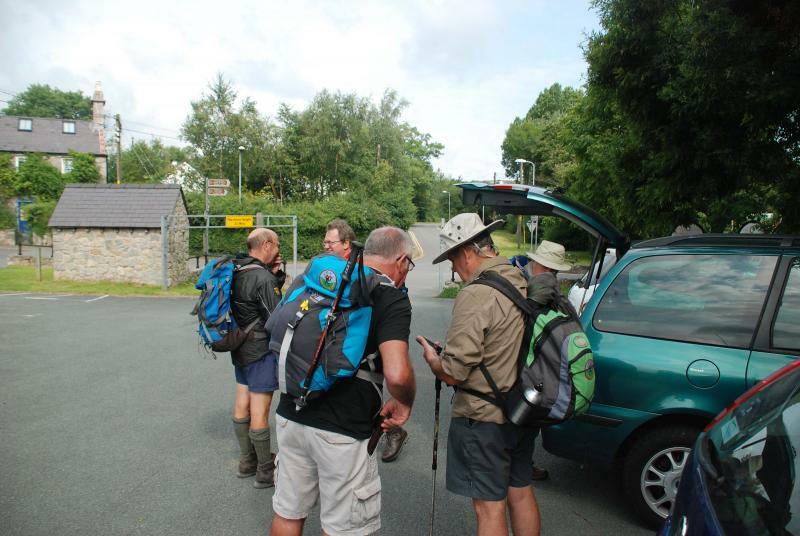 There was then a slog along a metalled road before dropping down to St Cawrdaf’s Church and our lunch stop. 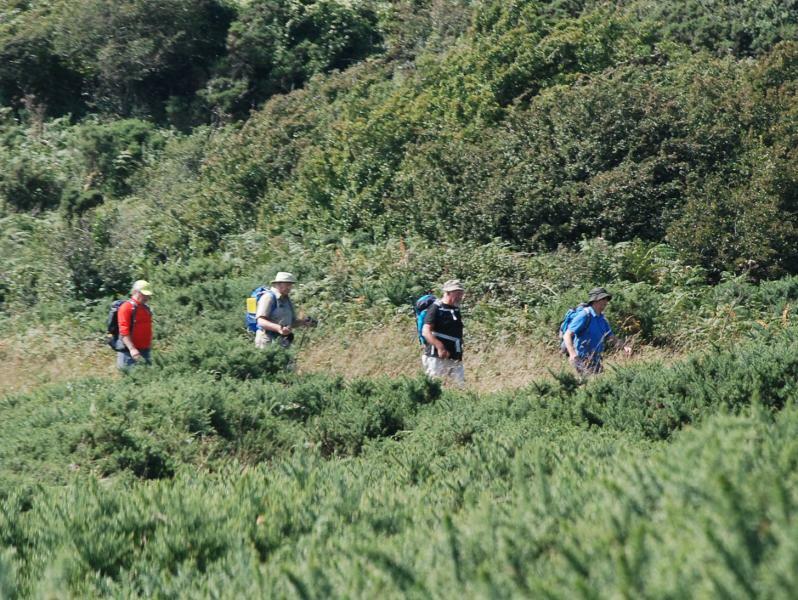 Following lunch I challenged the walkers to lookout for a Water Pump along the next stretch, it wasn’t even worth a photo when it was spotted. 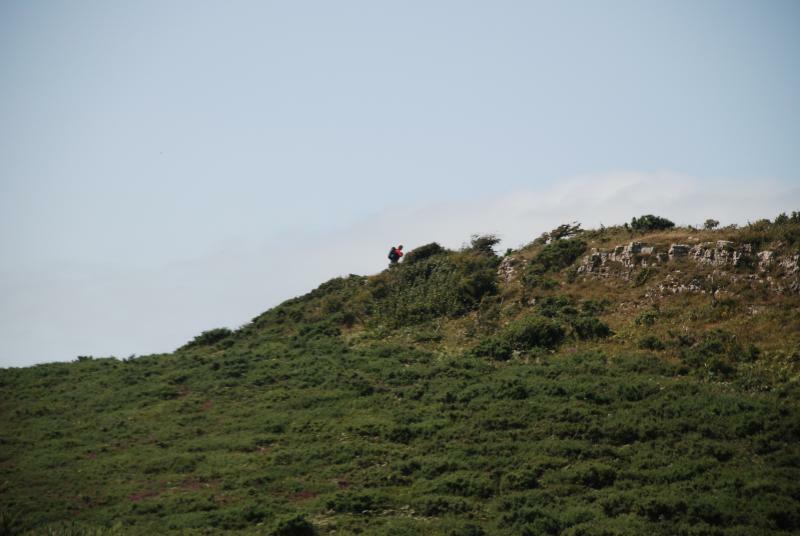 The route took us close to Arthur’s Table and four of the Plodders decided to climb it before continuing along the route. We took another drink stop here and I handed out some sweets as a reward. 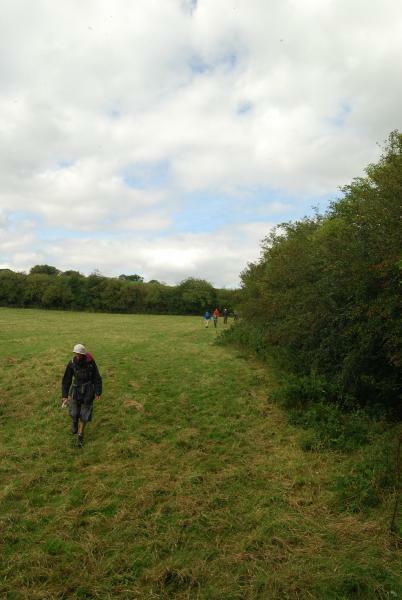 It was downward from here but some of the fields where overgrown and navigation would have been difficult if a reccie hadn’t been done. 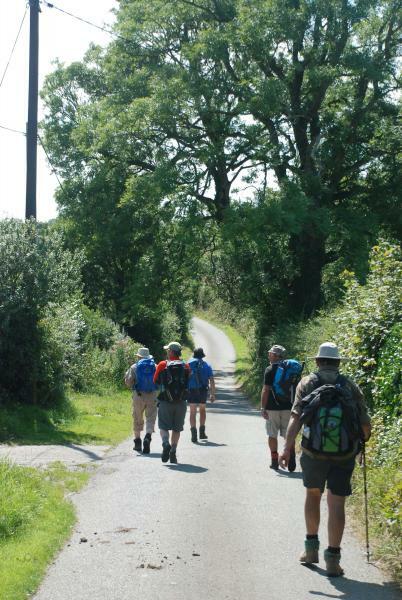 As we walked through Llangoed back to the cars the lure of an ice cream shop proved too much to ignore. 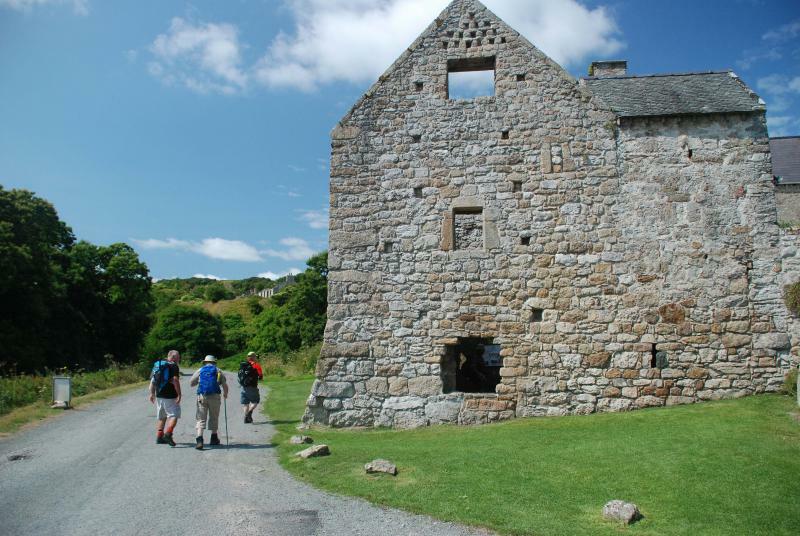 An interesting walk, with excellent company, beautiful scenery and fine weather. 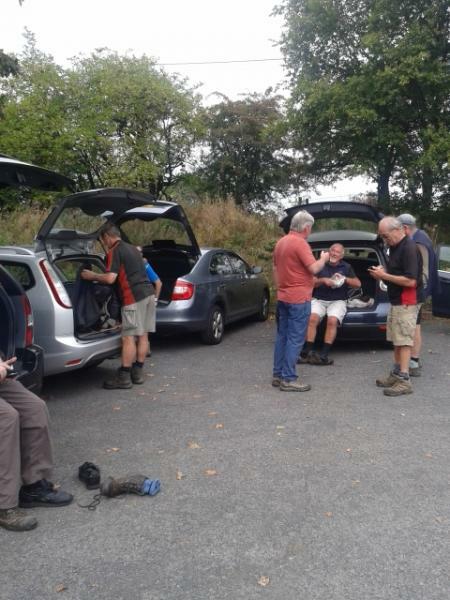 Fifteen Plodders (and the dog) assembled on the car park in Slaidburn under a high cloud cover on a warm day with the promise of sunshine and showers. 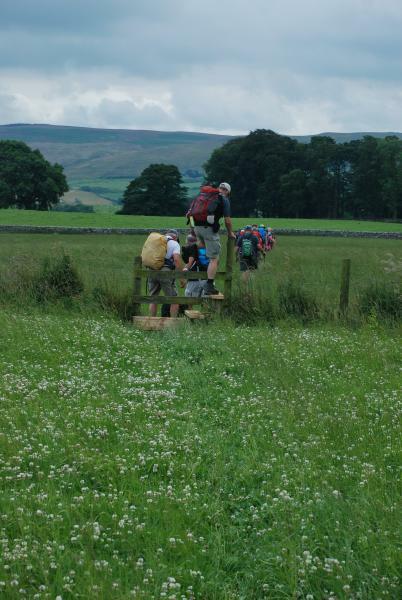 Leaving Slaidburn by the road towards Townhead, we crossed the Croasdale Brook and struck across the fields towards Holmehead Bridge to take us across the Hodder and then towards the fine old Hammerton Hall. 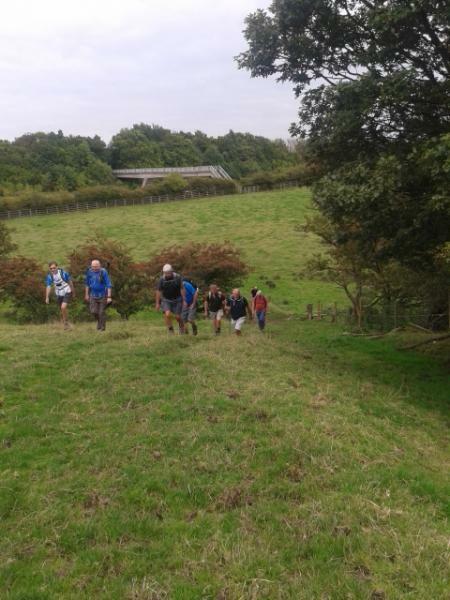 We veered slightly off piste by Ten Acre Hill but the experienced old pros in the party soon had us back on track, offering helpful and supportive comments along the way! 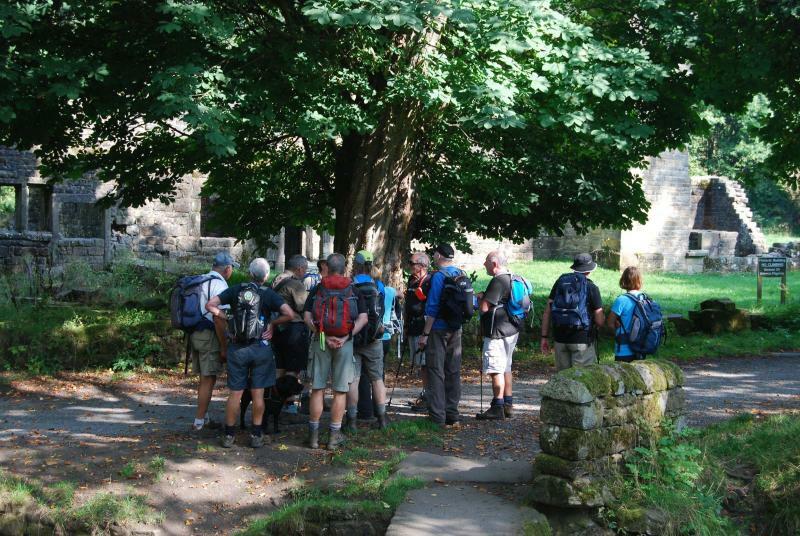 We took morning refreshments in the grounds of Dalehead church, which in the summer is well worth a visit for any wildflower enthusiasts as the grounds are a wildflower meadow containing many species of rare upland flowers. 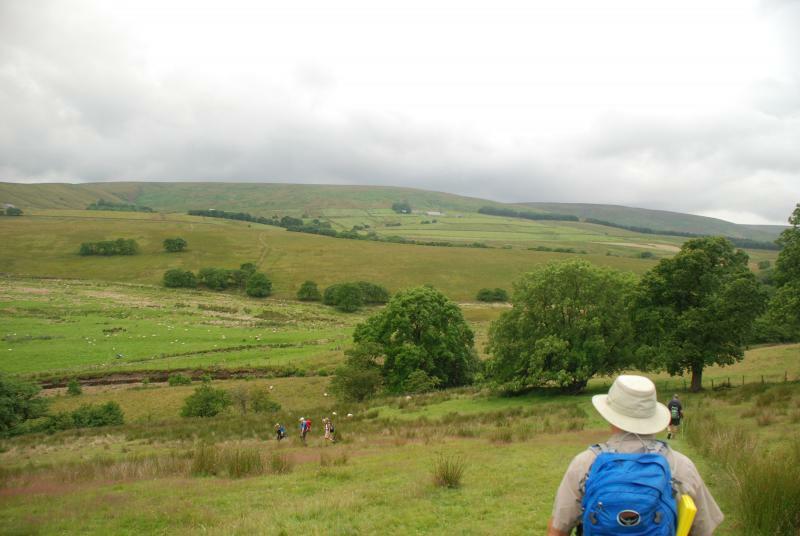 We skirted Gisburn Forest and worked up to New House with fine views of the surrounding countryside at our backs as we ascended, including the bulk of Pendle Hill. 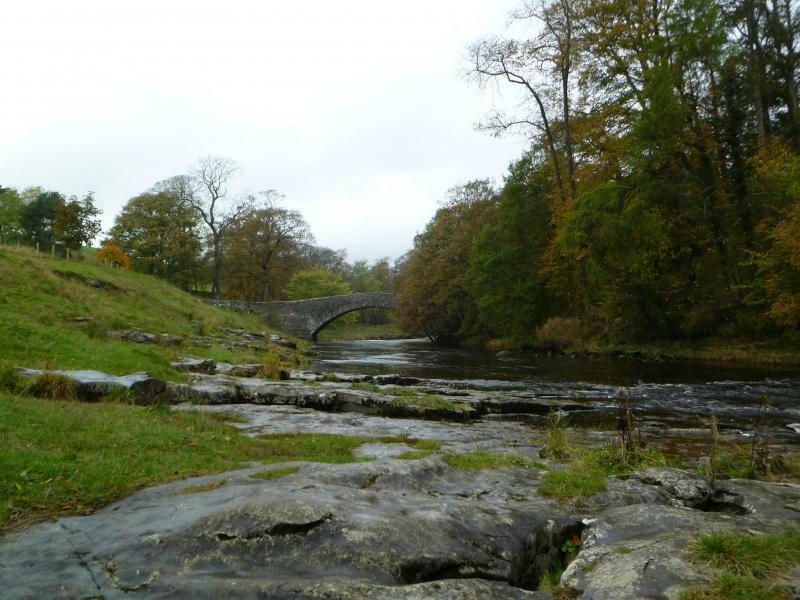 At New House we crossed back over the Hodder via the newly constructed footbridge which has replaced the old stepping-stones. 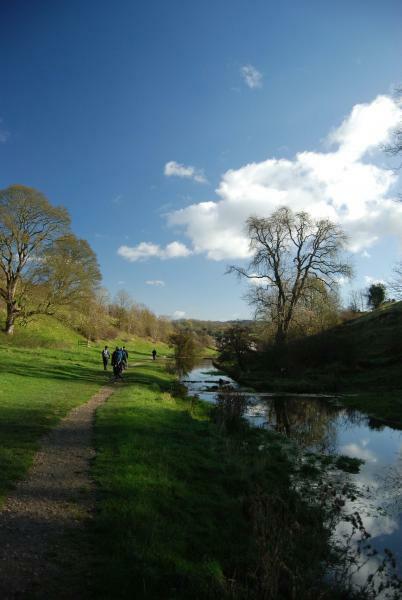 We took lunch on the banks of the babbling Hodder and we all relaxed in the idyllic setting, all except Paul our official photographer who was busily trying to get a shot of the swifts and swallows darting along the river in search of their own lunch. 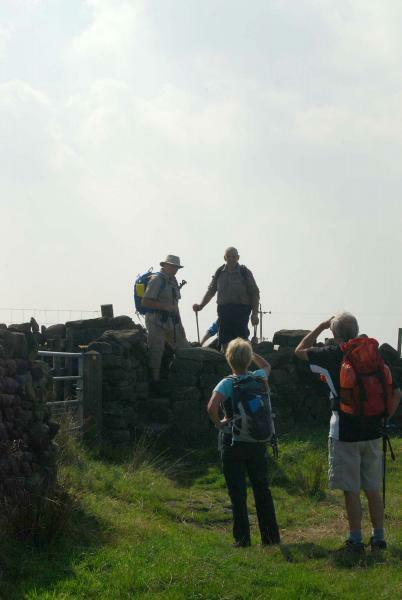 We plodded on via a flagged path over Copped Hill Clough joining the well-signed Stocks Reservoir Circular path. 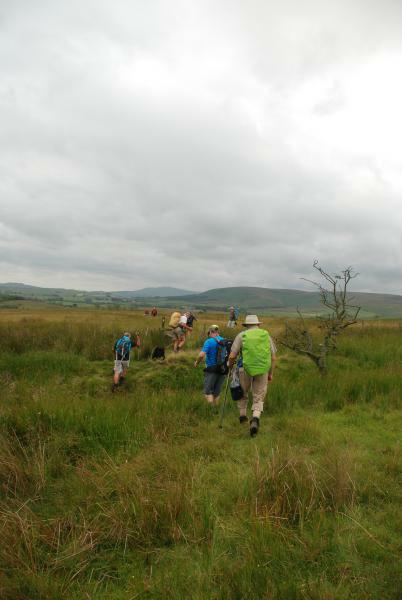 Just before Hollins House we struck out across the fell towards Wain Hill, enjoying fine panoramic views of the reservoir as we ascended. 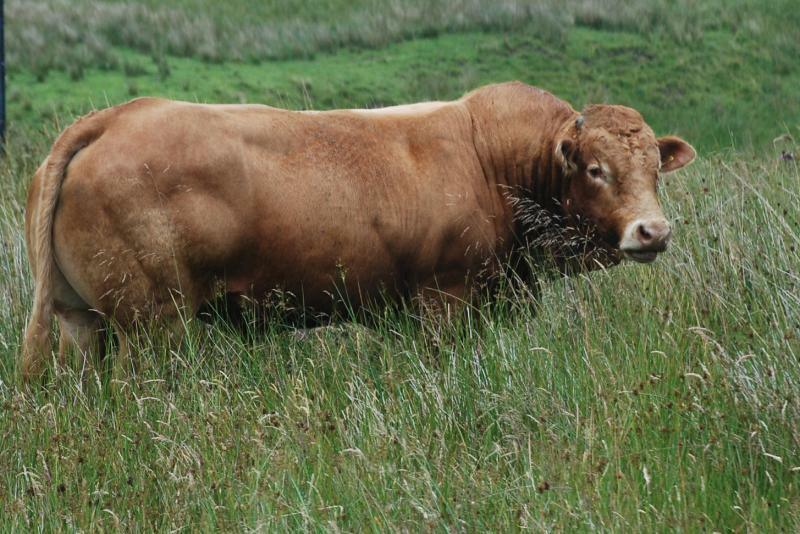 As we left Hollins House and reached the road, one observant plodder pointed out we had all failed to spot the brown bull grazing quietly in the long grass. It was probably as well we did, as the sight may have prompted further diversions off piste. 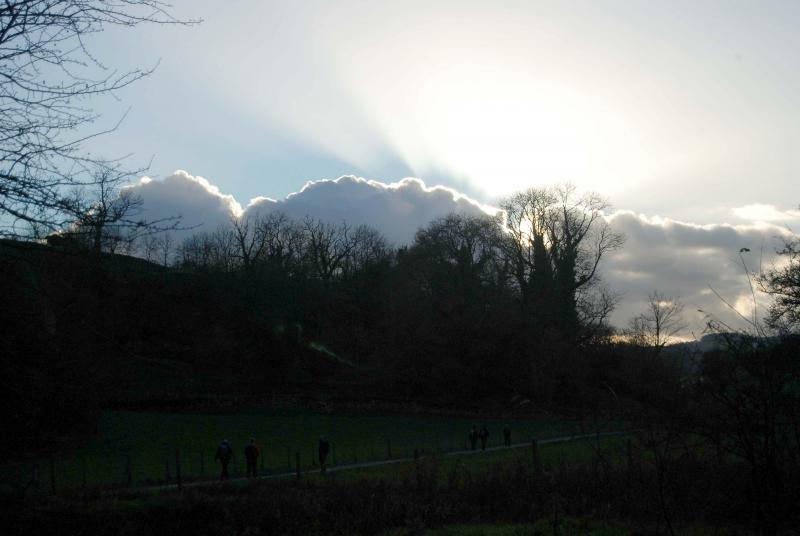 A short spell of road walking took us down to Shay House Farm where we had afternoon refreshments and where the sun broke through the clouds. 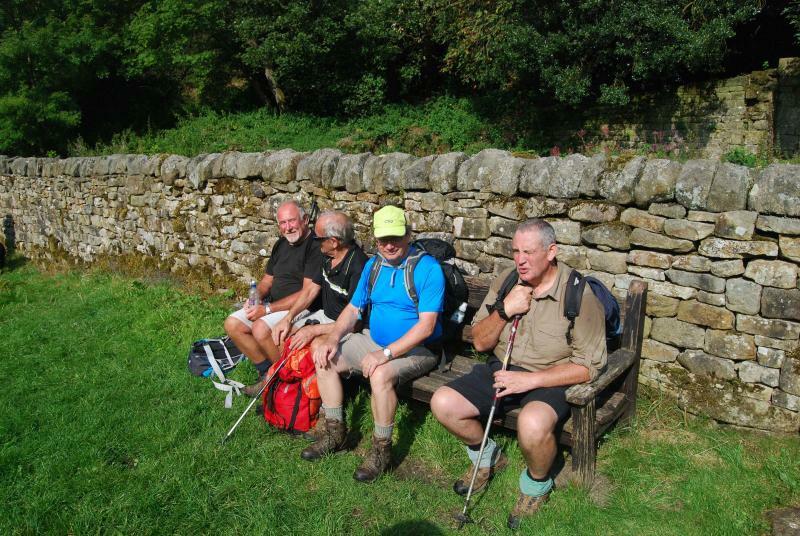 We had been plodding at a brisk pace and so had time to linger here a while to enjoy the sunshine. 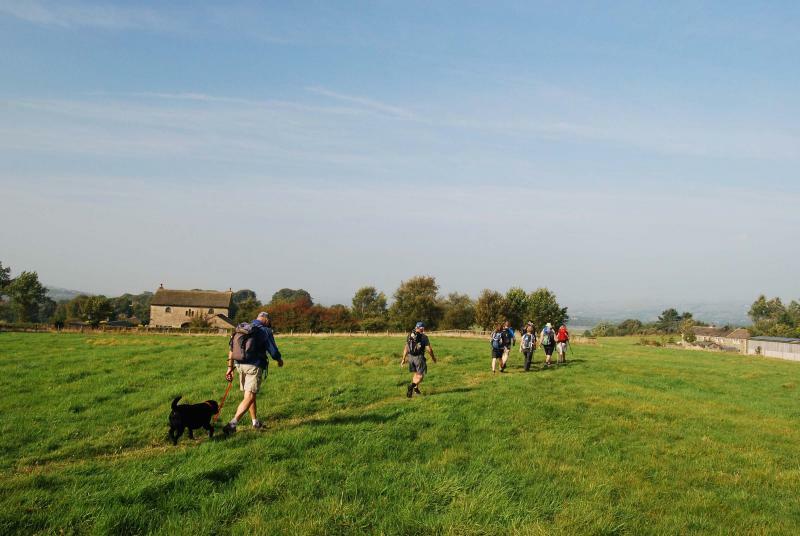 We walked back to Slaidburn over the fields with the sun on our backs and grand views of the surrounding Bowland fells - a very satisfying sight. One curious plodder noticed that cows in one field were wearing collars with microchips attached and invited speculation as to reasons why. 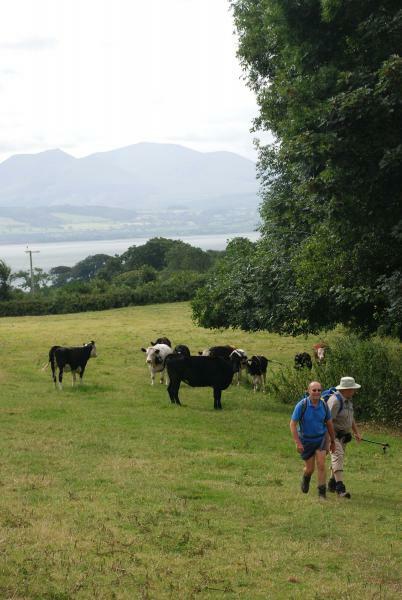 Answers ranged from the half-sensible to the sublime to the ridiculous, with the generally accepted view being that they were tracking the cows from cradle to grave, as farmers now have to report all their movements due to recent cow diseases etc. Perhaps you know better! 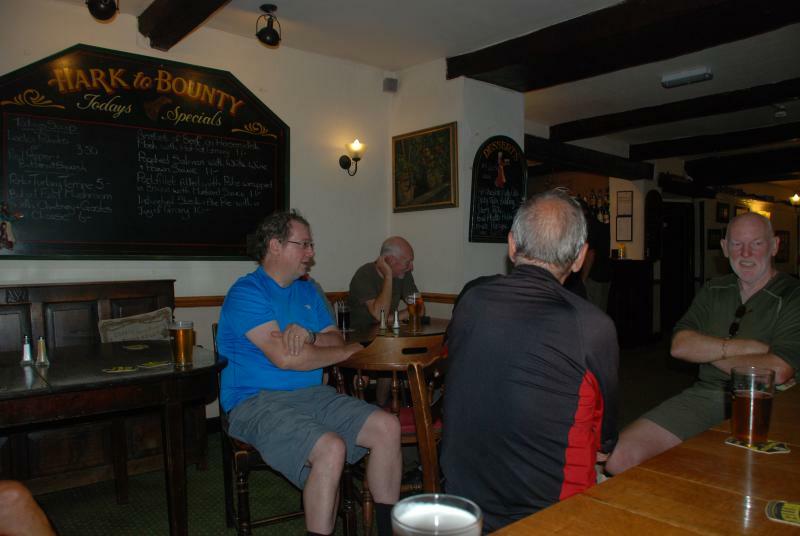 We arrived back at Slaidburn and debriefed at the Hark to Bounty, where over liquid refreshment we reviewed the highlights of the day, reminisced about past plods, and looked forward to Neil’s plod on 30 July. 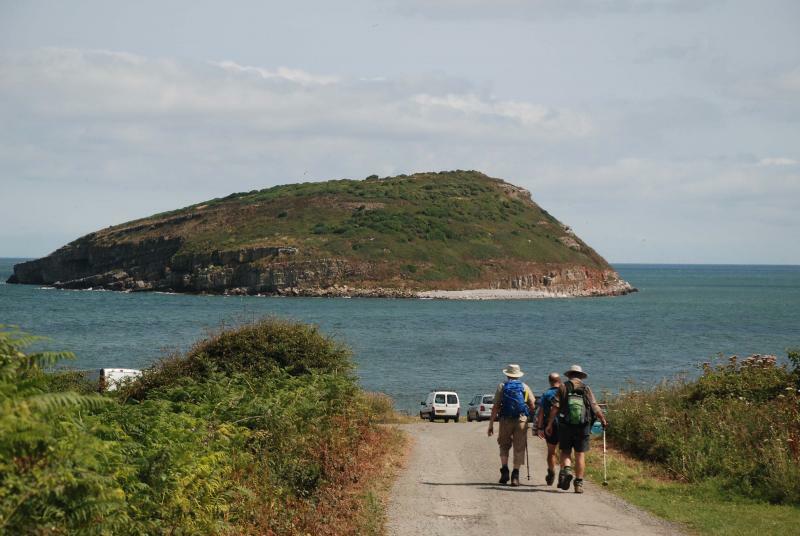 This has an international flavour, what with walking in Anglesey and visiting plodders jetting in from the antipodes for the day. 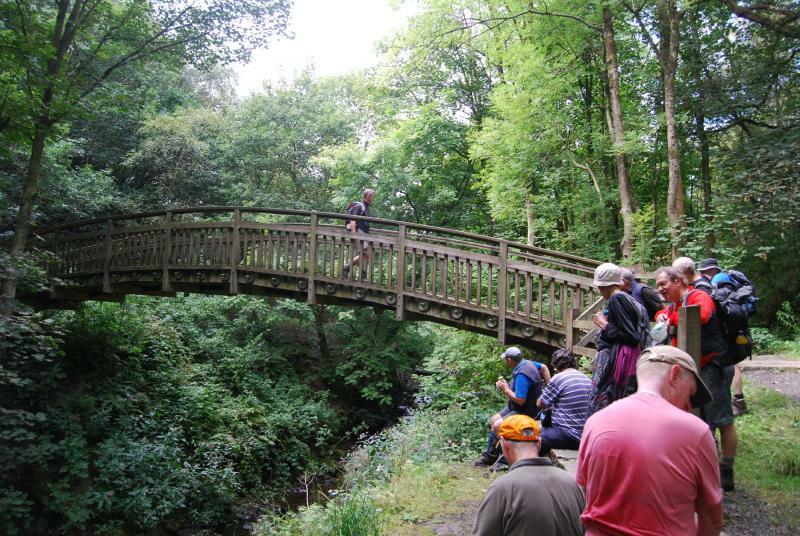 Full details are on the Future Events section of the website if you fancy joining the Plodders on their next outing. 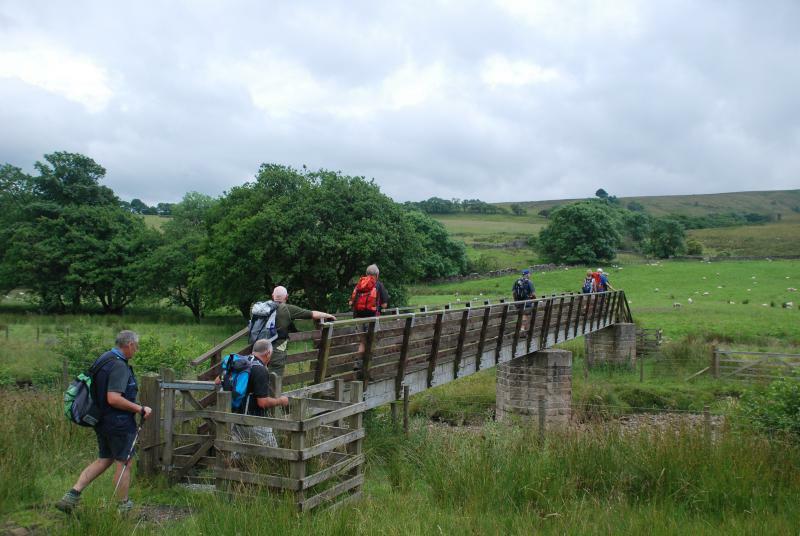 We covered some 11 miles with gains of some 950 feet and luckily the promised showers only arrived as we got back to Slaidburn. Thanks to Paul for acting as official photographer for the day and thanks to Roger for helping keep us on track through the day.